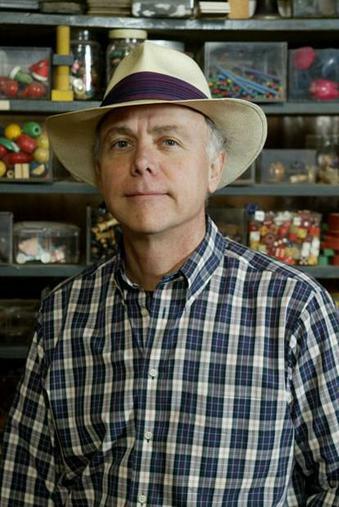 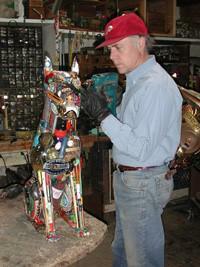 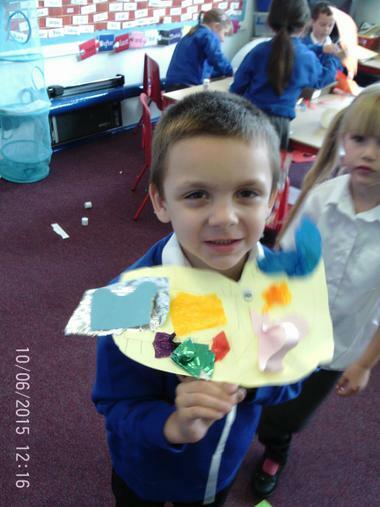 Leo Sewell was chosen as our class name by the children because they loved his sculptures made out of junk. 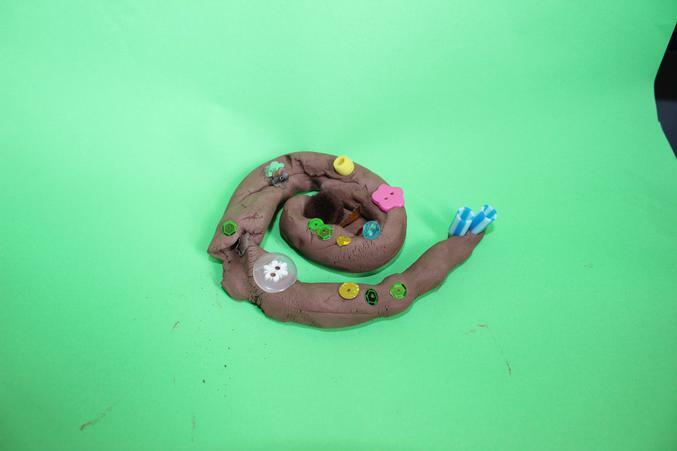 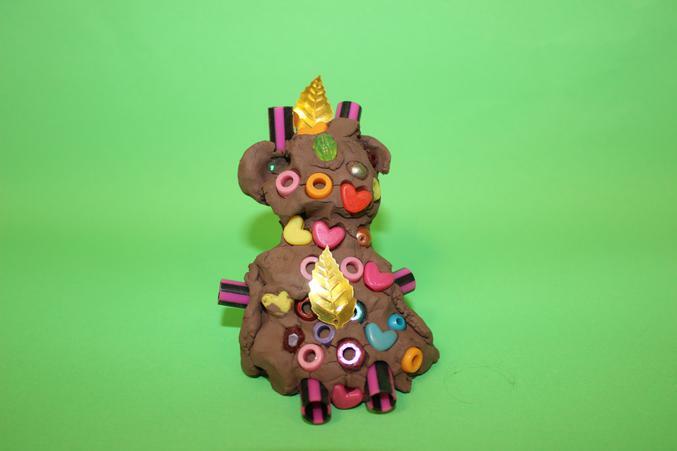 We have had lots of fun making our own Sewell sculptures. 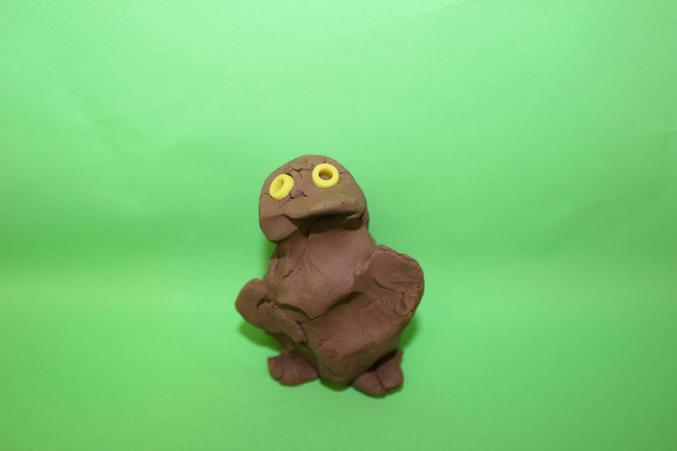 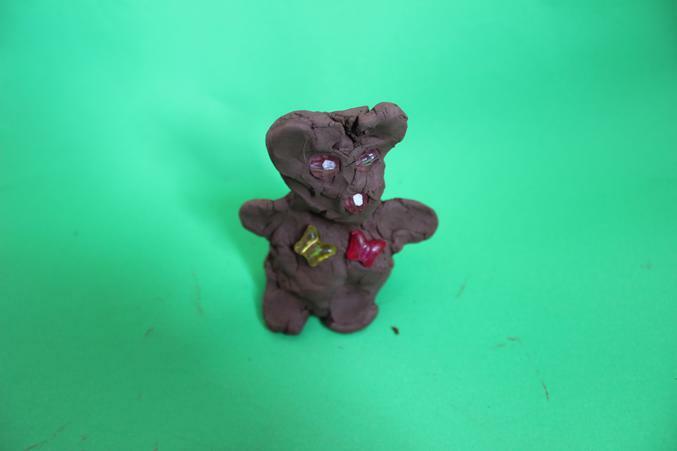 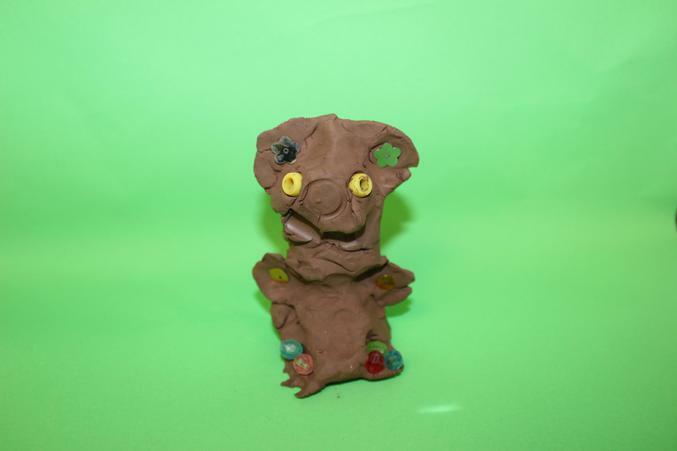 Here are some of our own sculptures inspired by Leo Sewell. 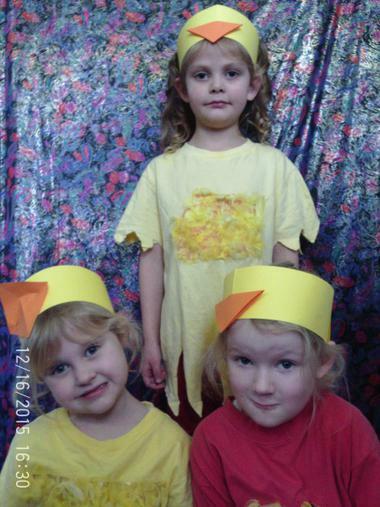 PE days are Tuesday and Thursdays. 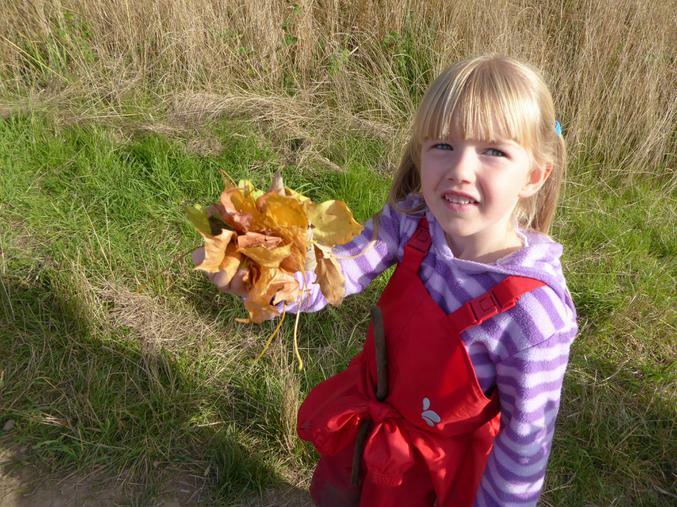 Please make sure your child has a full kit including trainers or plimsolls on these days. 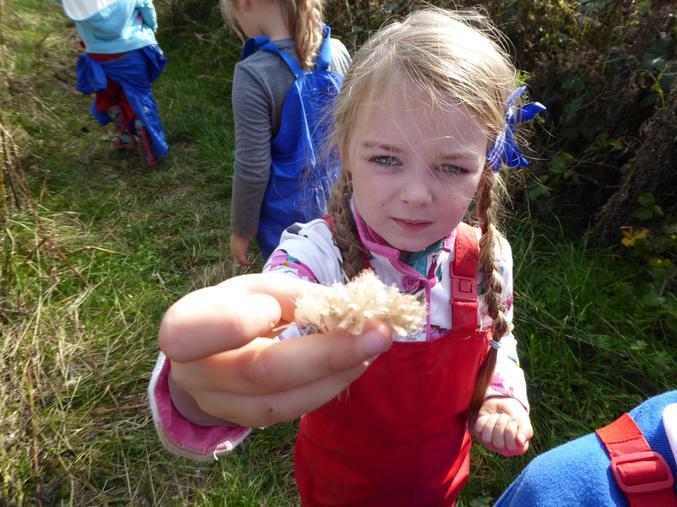 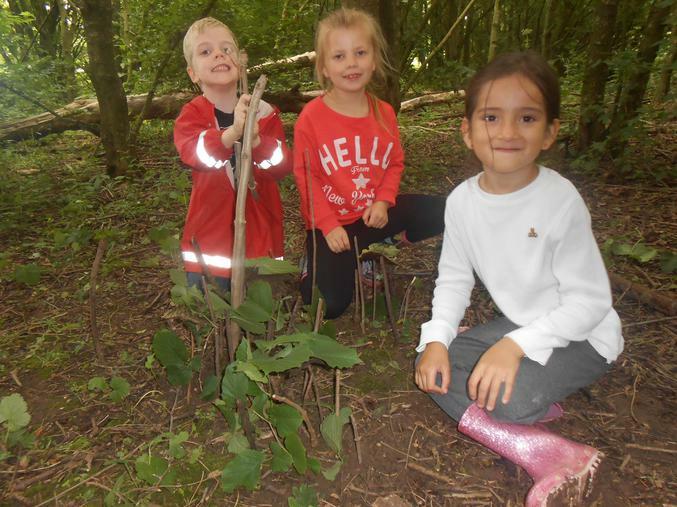 Every other Tuesday we take the children on a local Forest Walk as part of our science investigations into local plants and animals. 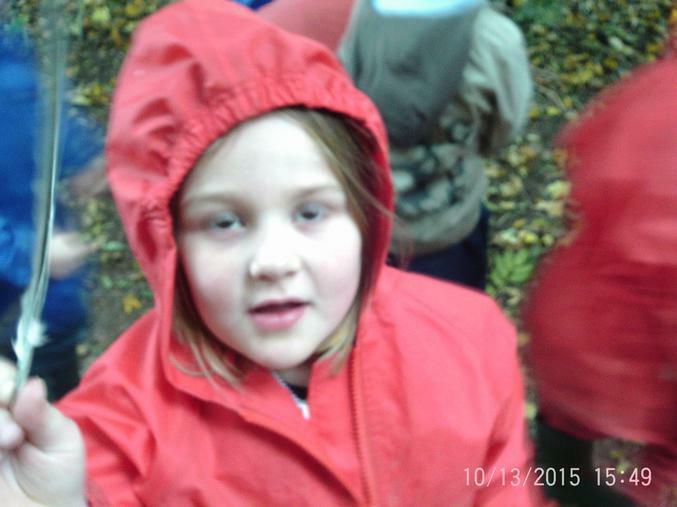 Please send your child with warm clothes including trousers, a long sleeved top, wellies and a waterproof jacket. 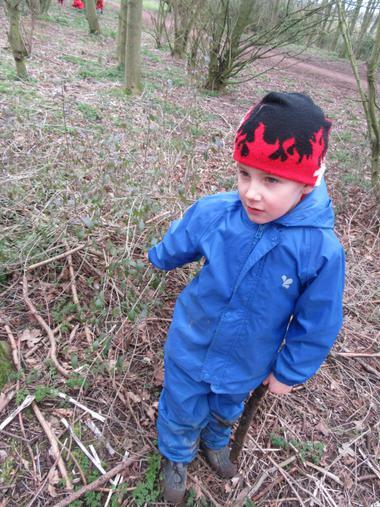 We have jackets and trousers if your child needs to use them but only have a few pairs of spare wellies. 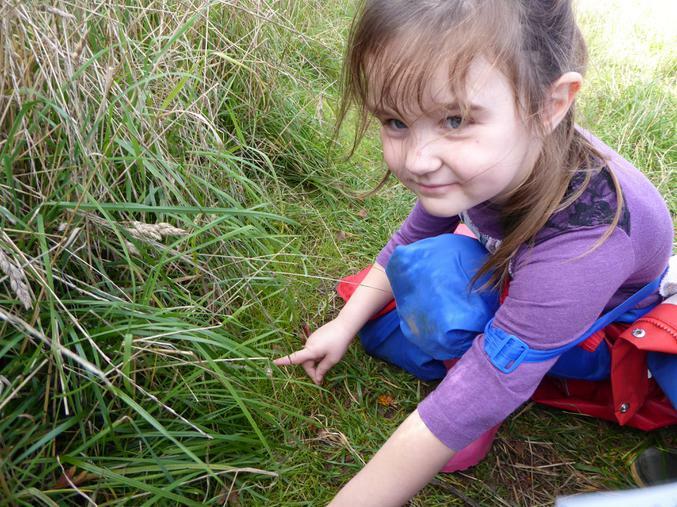 We can only do our walks if we have helpers and would be grateful if you could find the time to help. 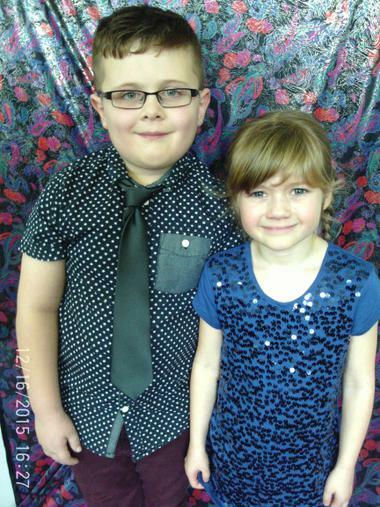 Please speak to Mrs Harvey if you can come on any of the below dates. 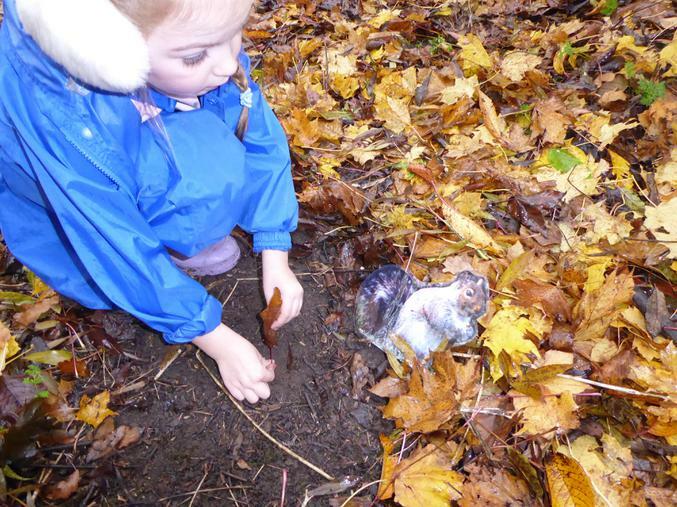 Each weekend a child will be chosen to fill the treasure box. 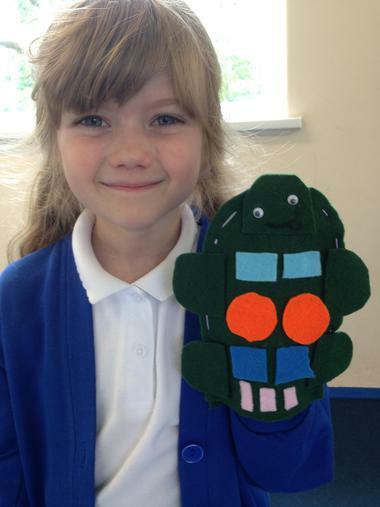 Each week a child will be chosen to take our class Ted home and complete the diary. 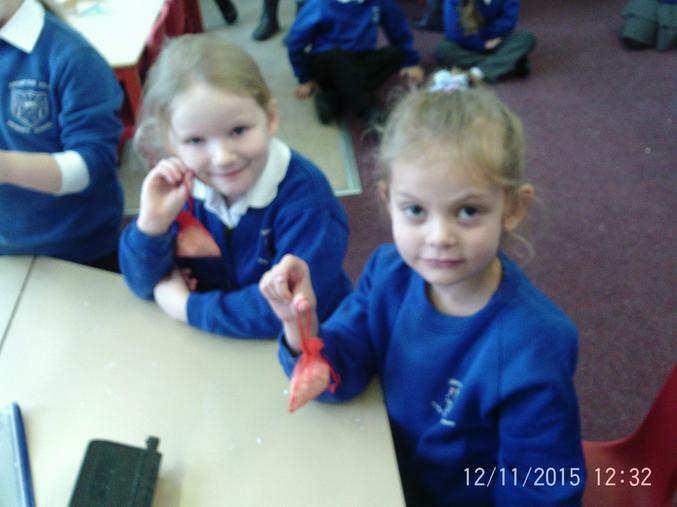 These will be shared on a Monday so please make sure your child brings them back for then. 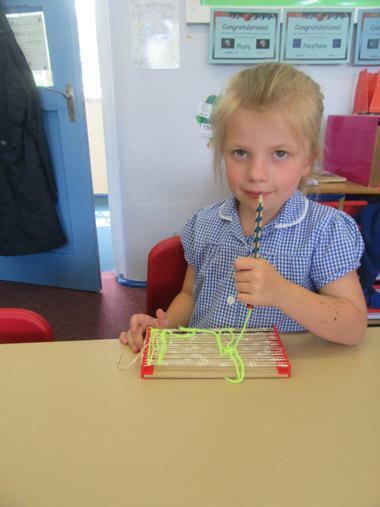 Everyday your child will read their books in class and we will look at their diaries. 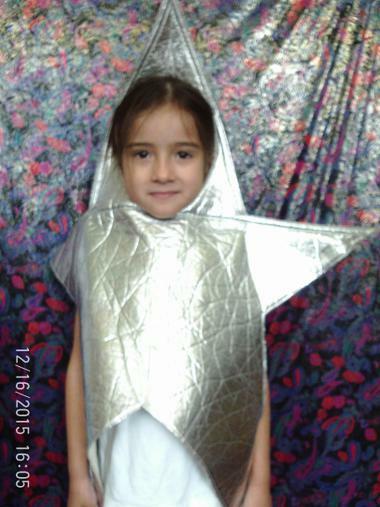 PLEASE make sure your child brings their folder daily to school. 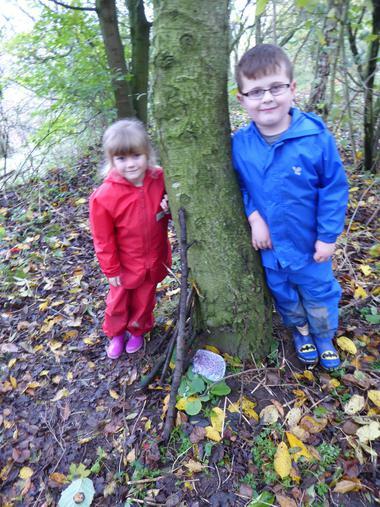 When you write in their diaries the children move along the reading trail and receive a sticker in their diaries. 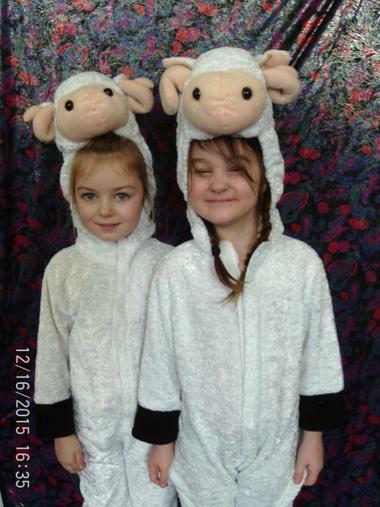 Your child can also borrow a picture story book from our small library every Monday to take home for a week. 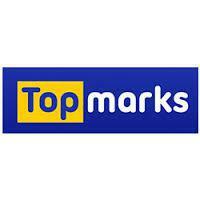 Please make sure they come back every Monday. 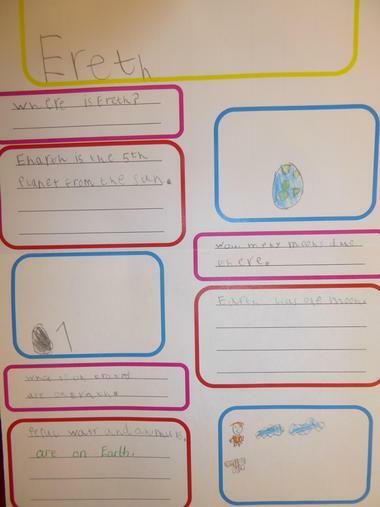 Each half term we will put a new sheet in your child’s homework book. 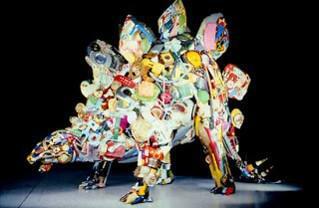 Please complete one piece a week. 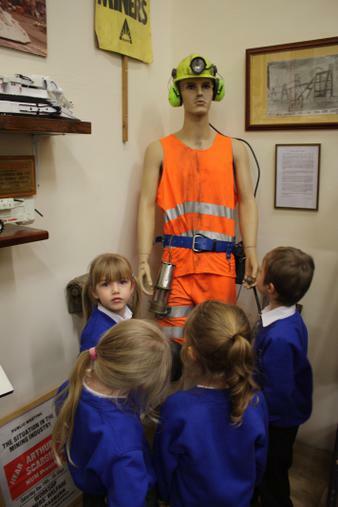 We will be looking at your children’s homework on Fridays. 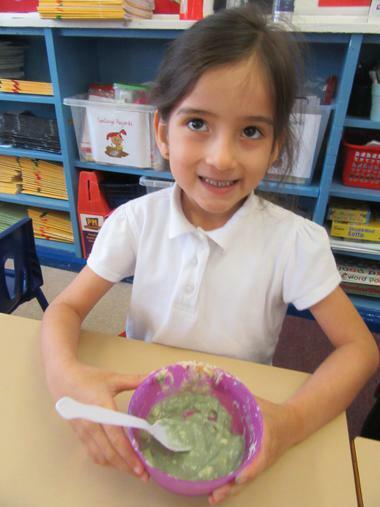 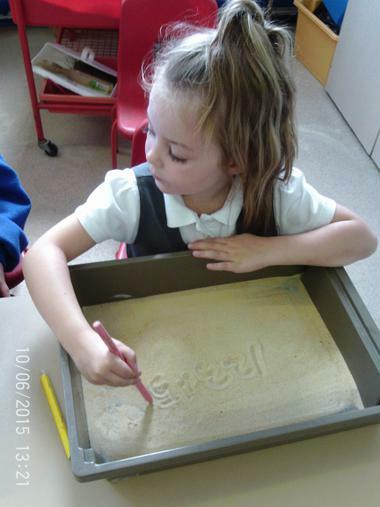 The children will get new spellings in their book each week following being tested. 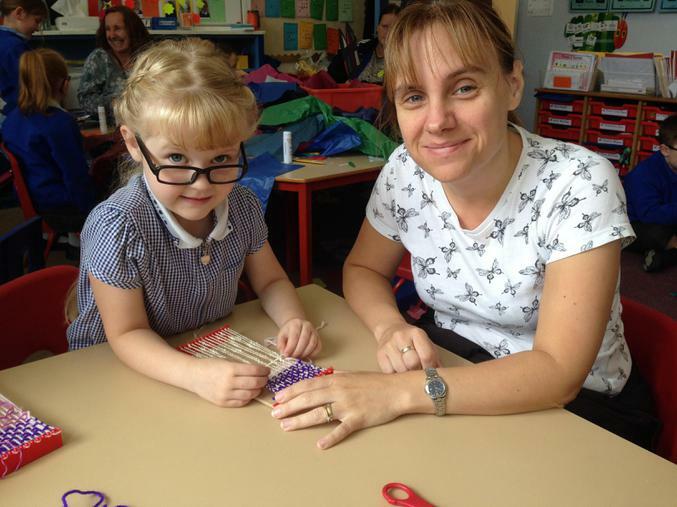 Please practise with your child each week. 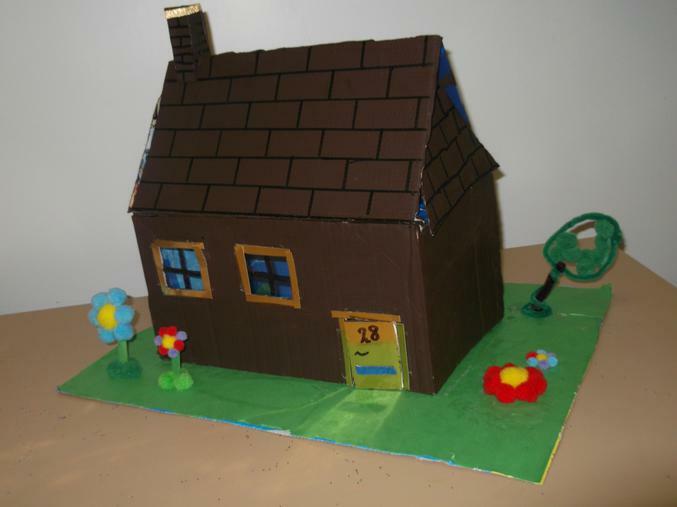 Click on the link below to login to skoolbo to carry on learning at home. 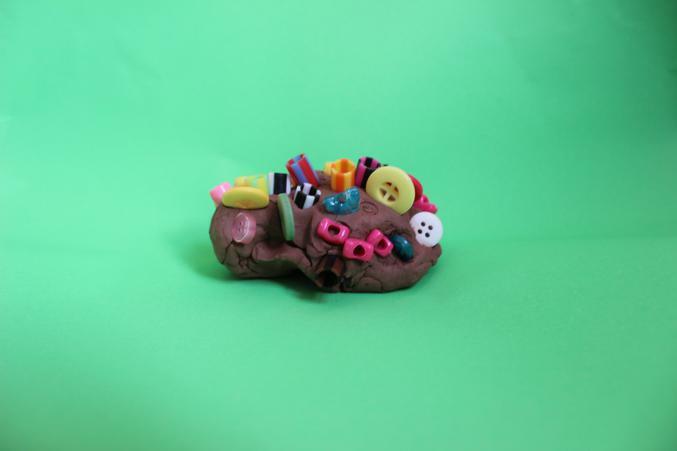 There are more links below. 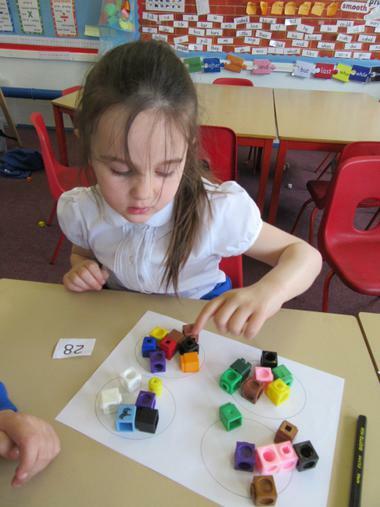 Click on these links for maths games. 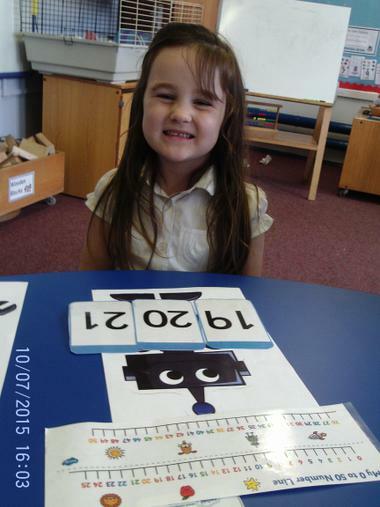 Click on these links below for phonics games. 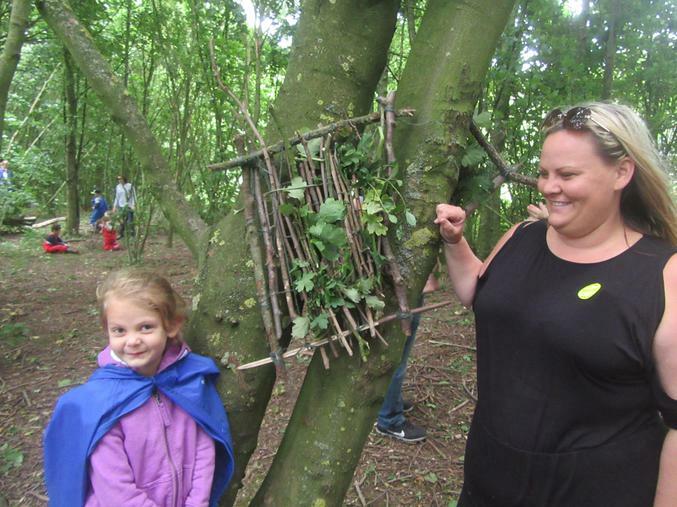 BIG QUESTION: Who was Robin Hood? 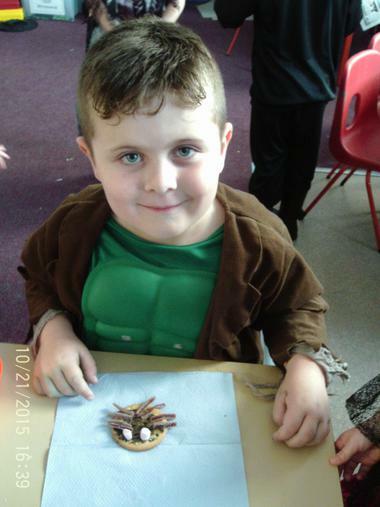 Our exciting topic this term is all about Robin Hood and medieval life. 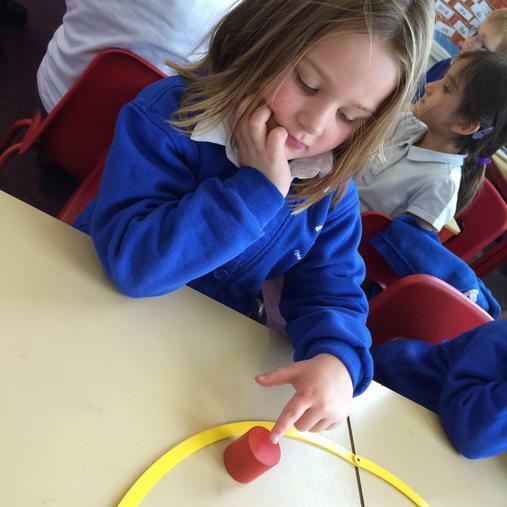 Watch this space to find out what we are learning each week. 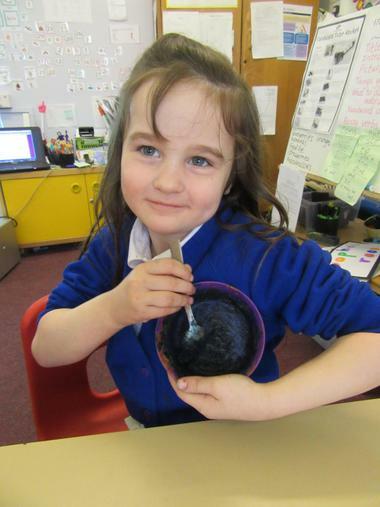 We celebrated the end of our topic with a medieval craft morning where we made clay pots, stained glass windows and tried weaving. 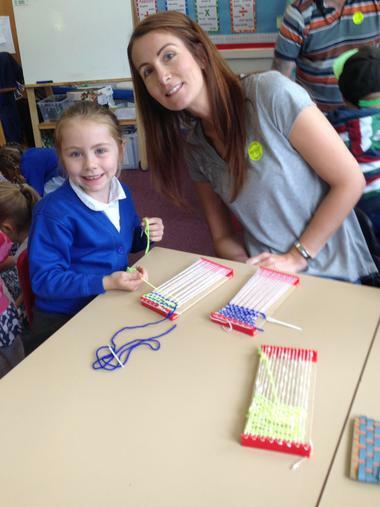 Thank you to everyone who came and helped! 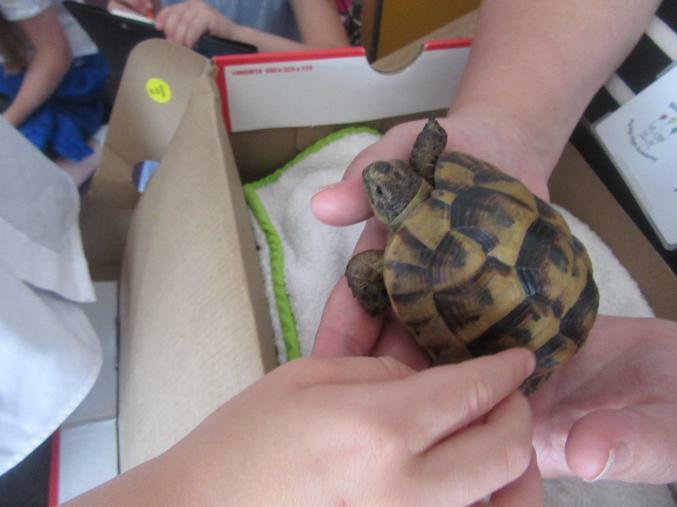 This week we have been visited by tortoise, Tiddles and the children have asked lots of questions to find out all about looking after a tortoise before making an information page. 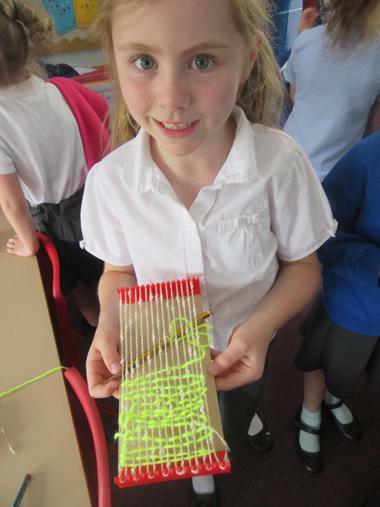 We have also tried some medieval weaving, in class and in the woods! 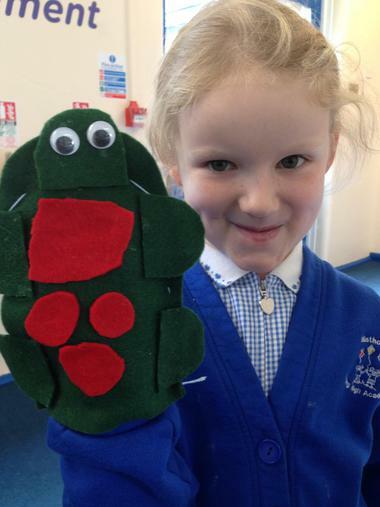 This week the children have learnt a new traditional story, 'How Tortoise Got His Shell' and they have made tortoise hand puppets to help us re-tell the story. 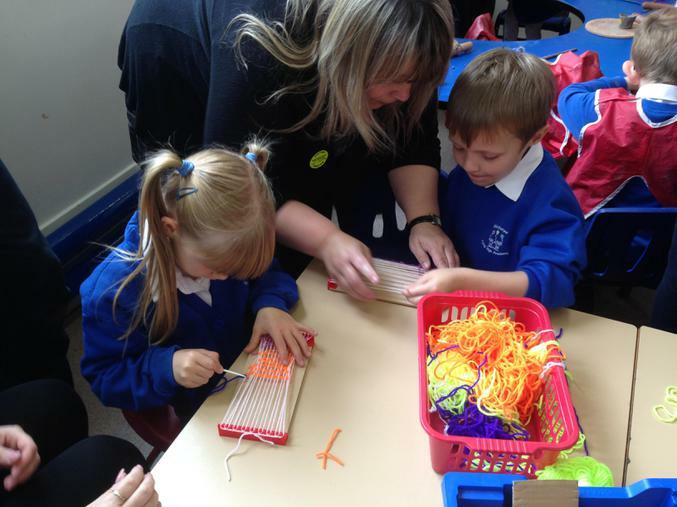 Their sewing skills were very impressive! 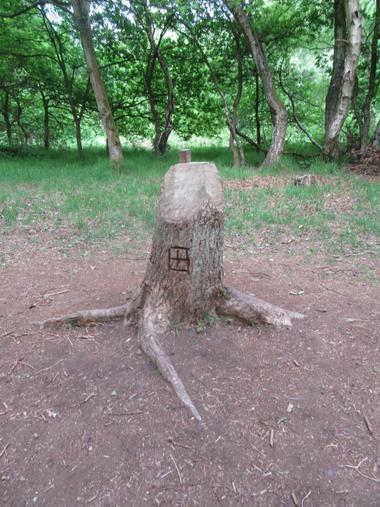 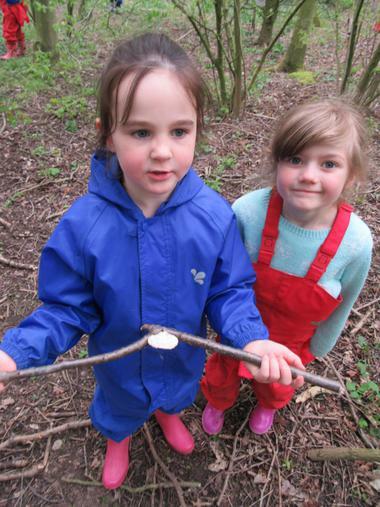 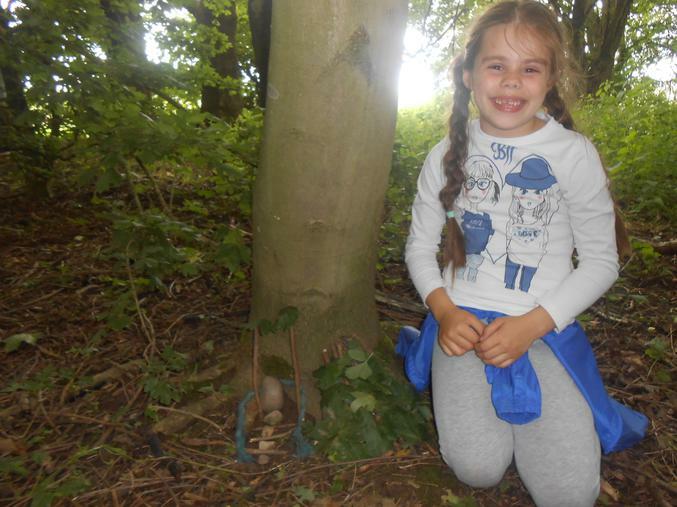 On forest walk today the children made fairy houses like the ones we saw on our trip to Sherwood Forest. 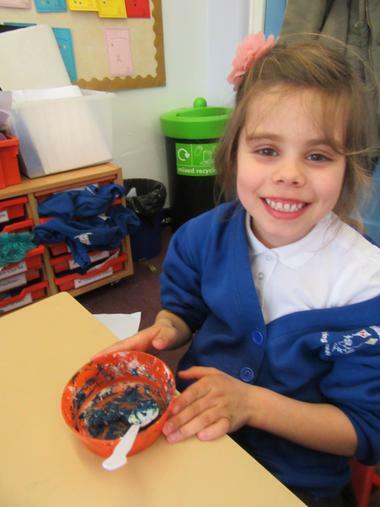 This week we learnt all about what it was like being a child in Medieval times, in RE we discovered how and why Jews celebrate Shabbat and in English we have written our own stories based on Mr Gumpy's Outing. 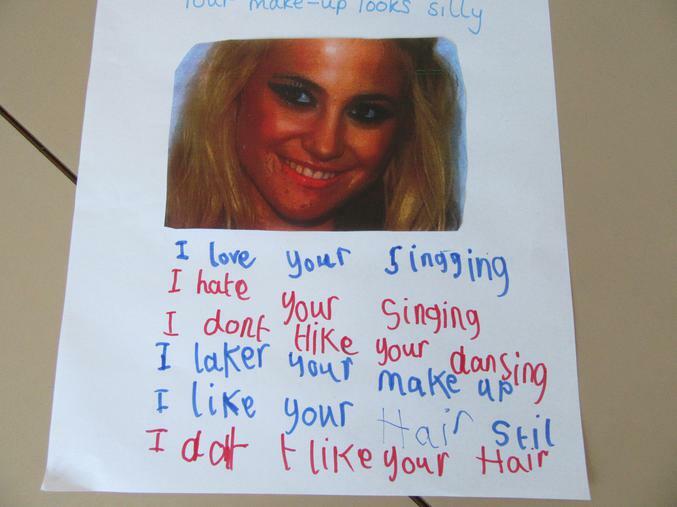 The children's writing really blew us away! 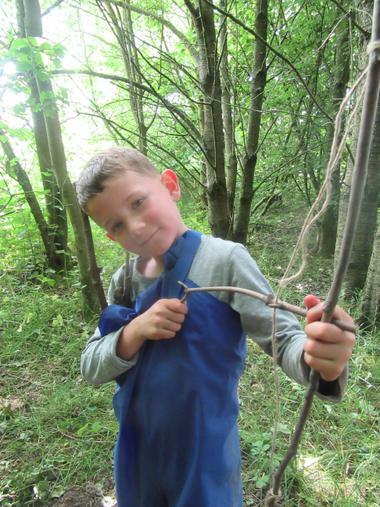 This week we have been learning about medieval weapons and then on forest walk we had a go at making and firing our own bow and arrows. 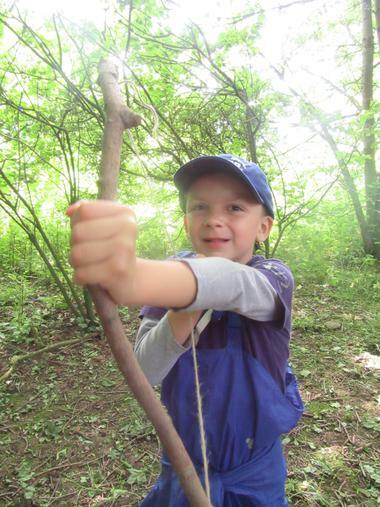 Billy was an exceptionally great Archer! 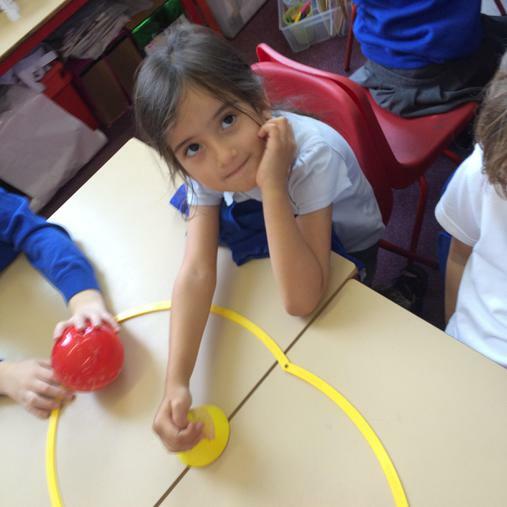 This week we have been learning about medieval clothing and what the rich and poor wore. 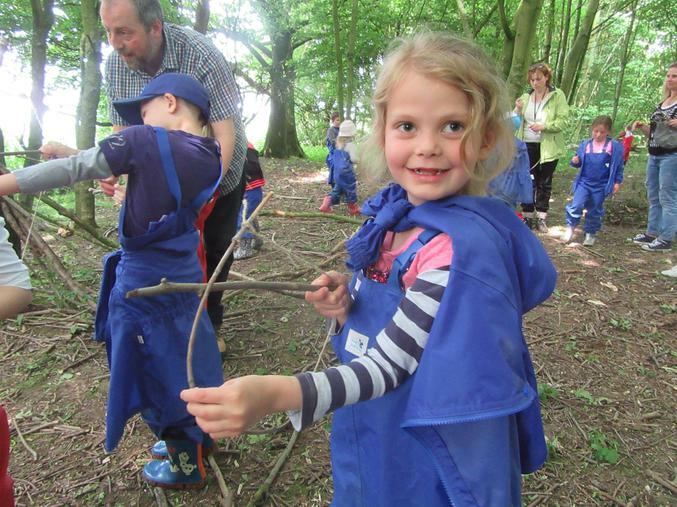 We then learnt that Robin Hood and his men wear green and brown for disguise in the woods but also because they use plants and things found in the woods to dye their cloth for clothes. 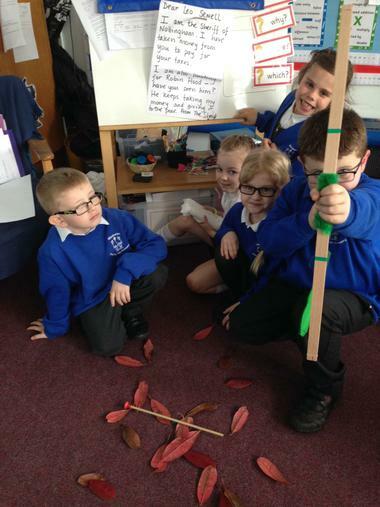 The children designed outfits for the Merry Men and then did some science investigations to find out which fruit or vegetable was best for dying clothes. 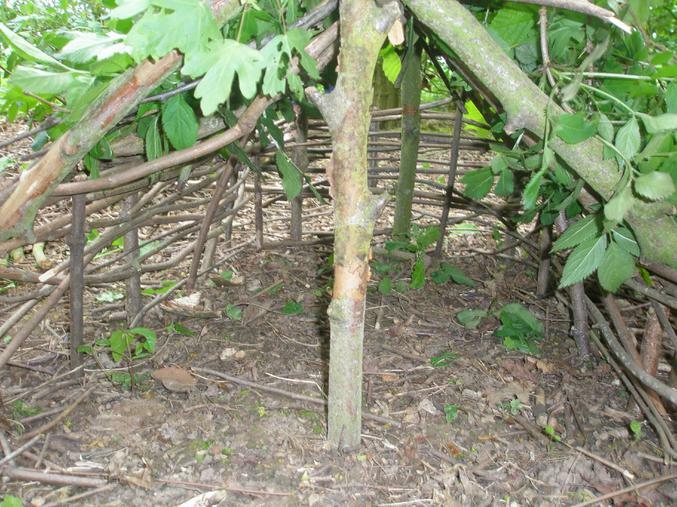 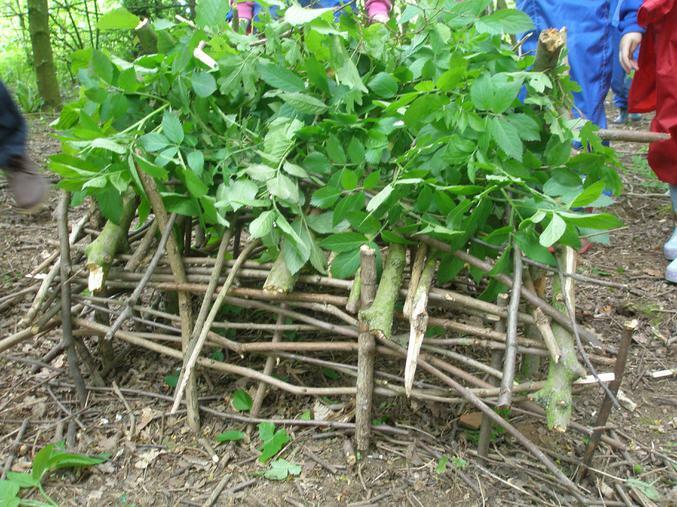 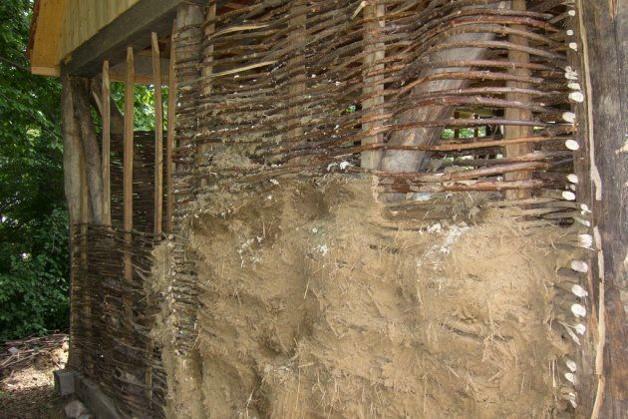 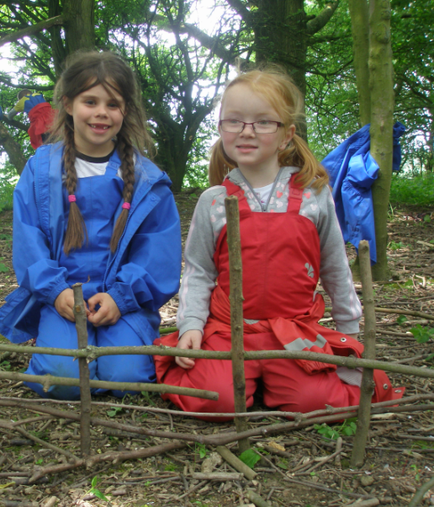 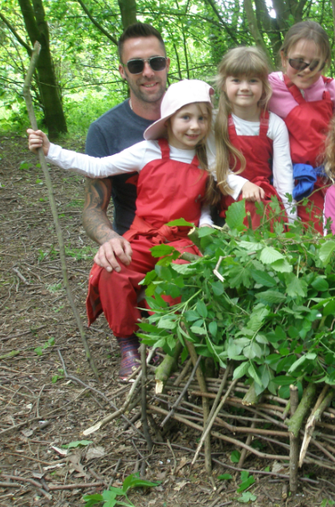 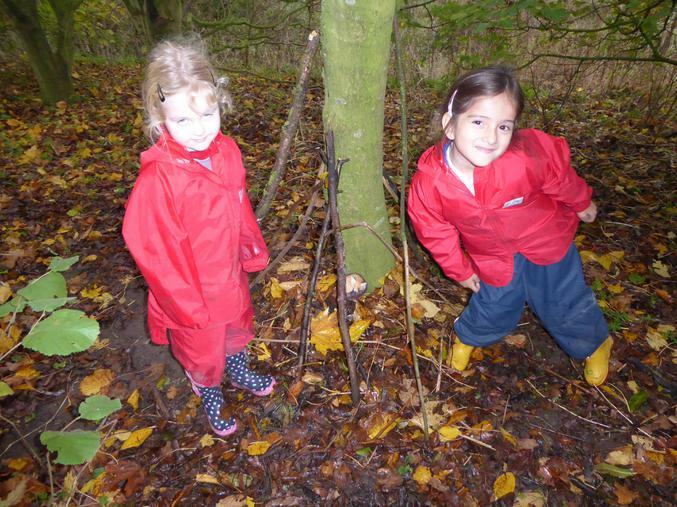 On forest walk today the children made shelters using the medieval method of 'wattle and daub' just like Robin Hood! 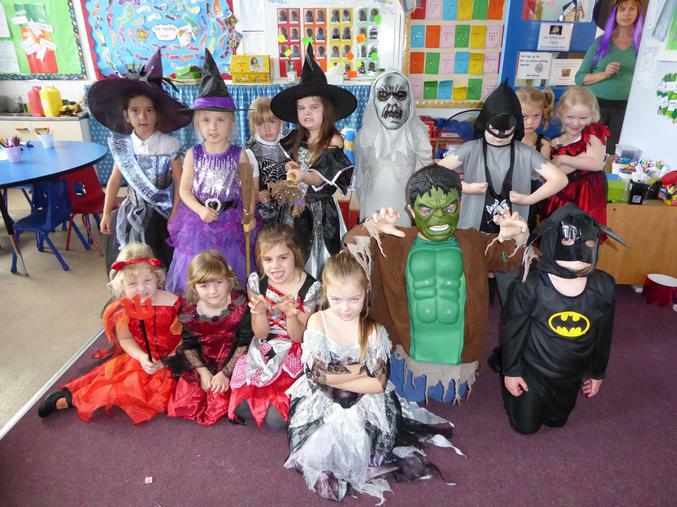 They loved it and the Mums, Dads and Grans did too! 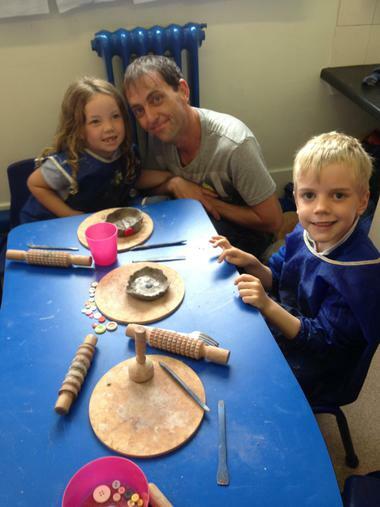 It also helped that Georgia's Dad is a builder! 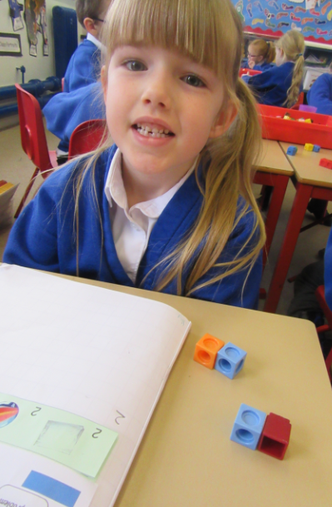 This week we have been learning about fractions and how to halve and quarter amounts in Maths. 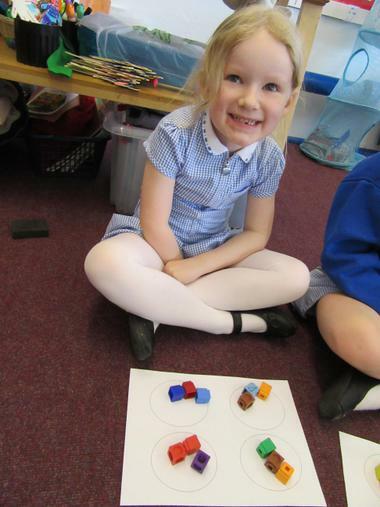 We solved problems by pretending cubes were sweets or marbles and divided them between friends using sharing circles. 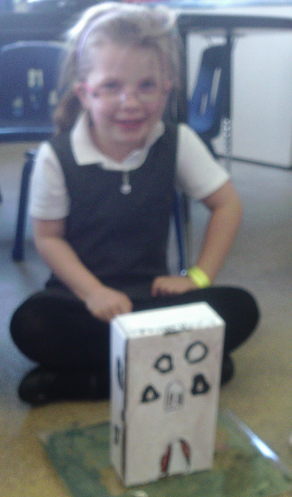 We also tried drawing to solve them. 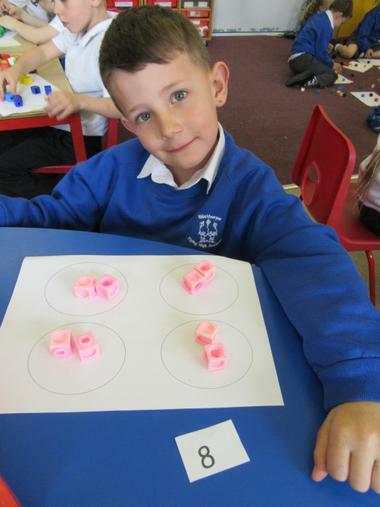 Some of the children investigated which numbers could be halved and quartered, they discovered that the numbers that could were always in the 2x table. 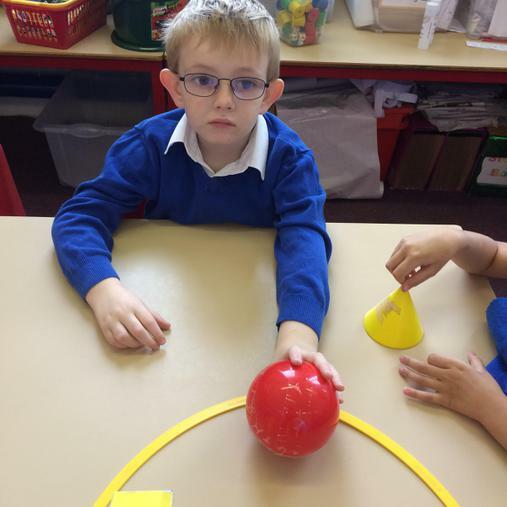 What super Maths detectives! 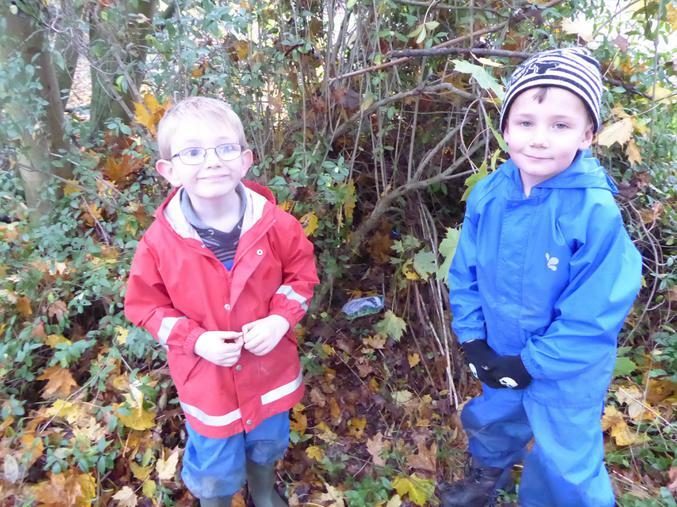 This week we were finding all the things on our forest walk that Robin Hood could use to survive on in the forest! 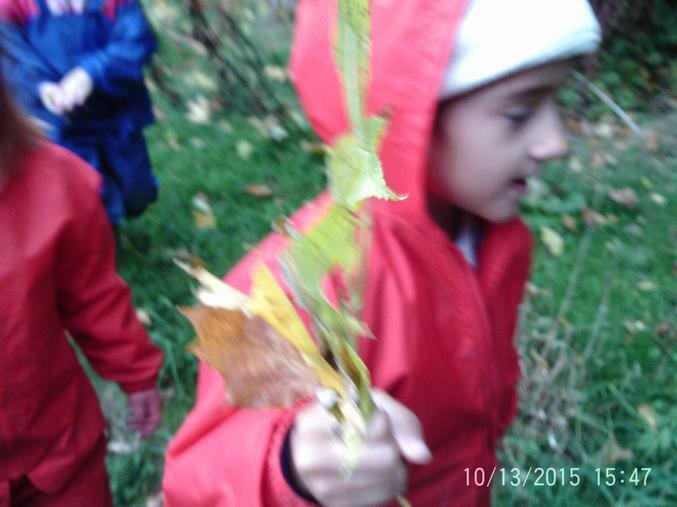 We had many uses for sticks such as a bow and arrow, fishing rod and lantern holder! 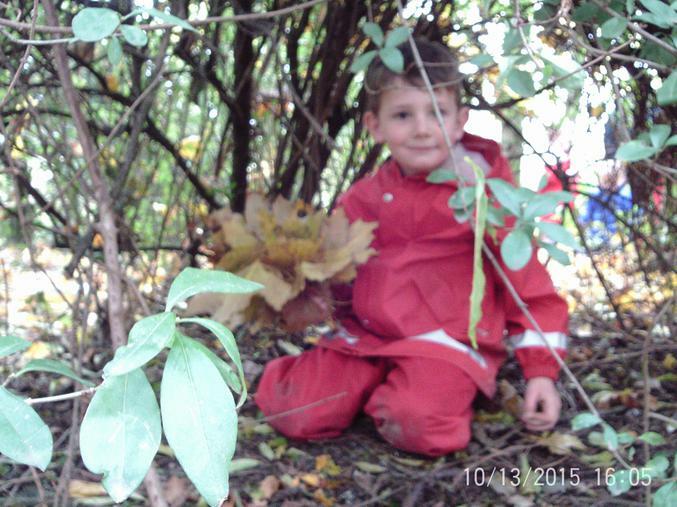 We also hunted for edible plants and signs of animals that could be eaten. 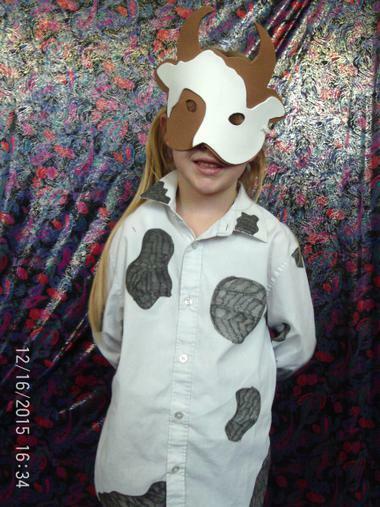 In English we have been doing lots of drama and writing around the Three Little Pigs story. 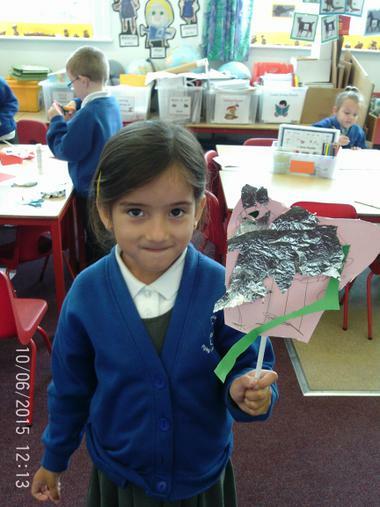 Mummy Pig requested help to keep the Three Little Pigs safe. 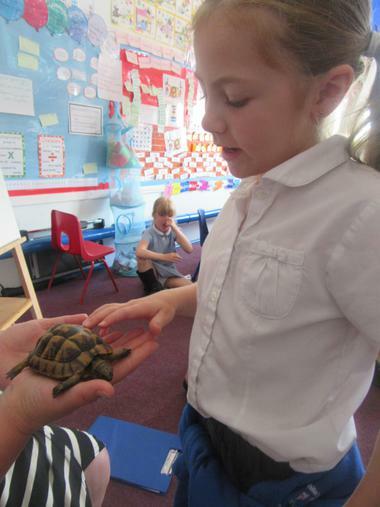 The children came up with ideas and learned the story to re-write and get ready to change it into their own stories. 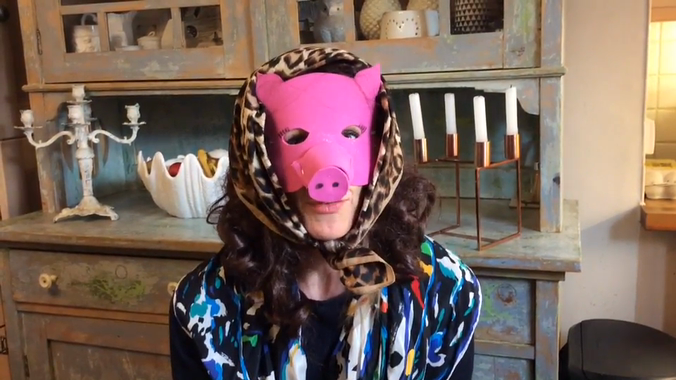 Doesn't Mummy Pig look familiar! 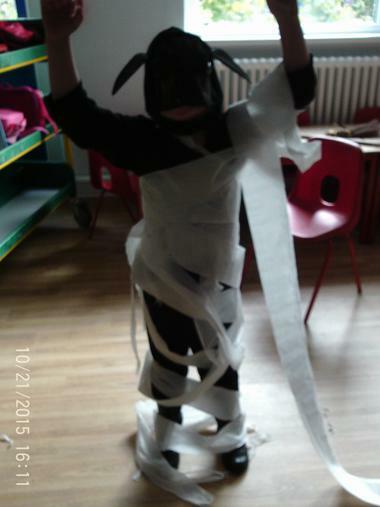 Mummy Pig needs your help! 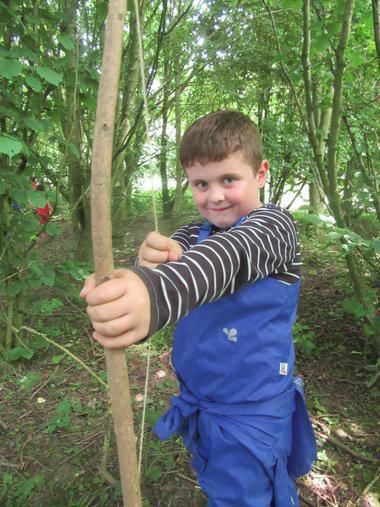 This week we launched our new Summer term 'Who was Robin Hood?' 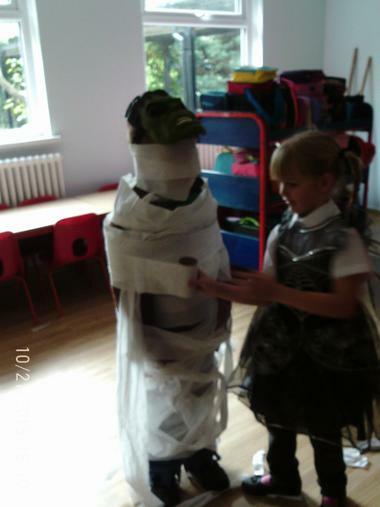 topic with strange goings-on in our classroom. 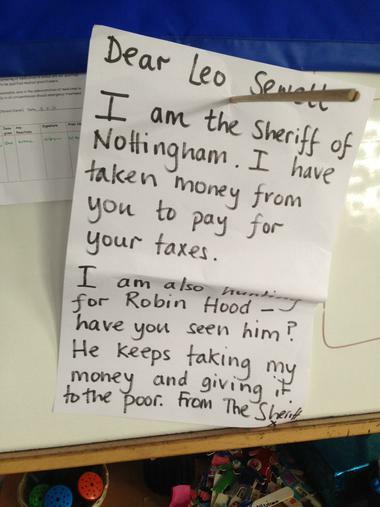 All our toast money was stolen and we found a letter from the Sheriff of Nottingham saying he had taken it for taxes. 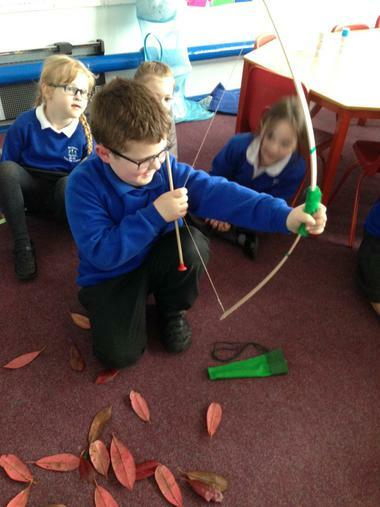 He also said he was on the lookout for Robin Hood and the children thought maybe he had visited our class too as we found leaves and a bow and arrow! 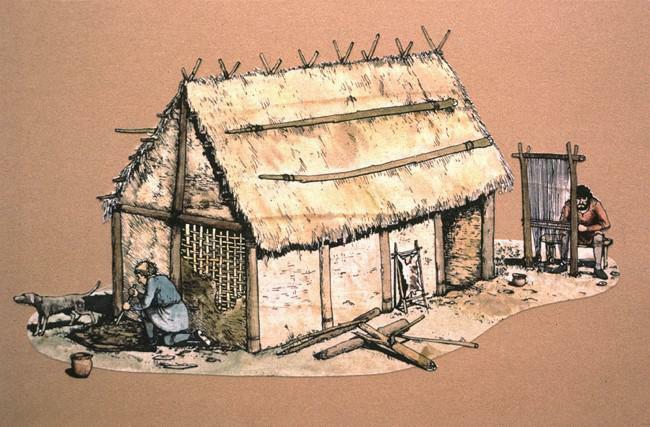 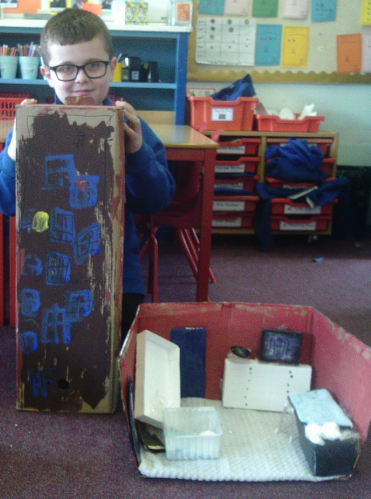 This week we used everything we learnt during our topic on 'What makes the perfect village?' 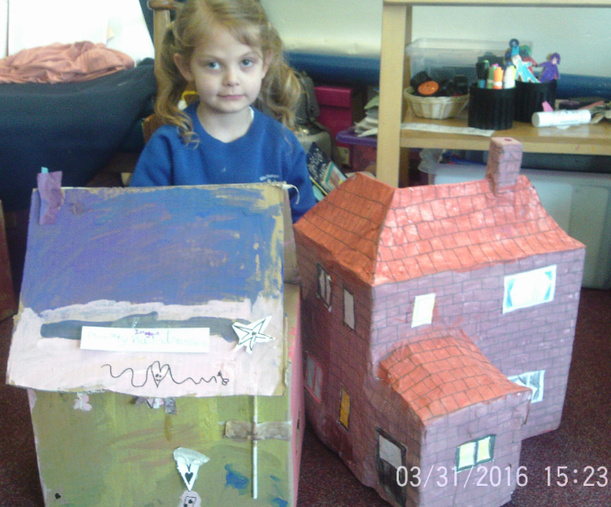 and designed our own perfect village. 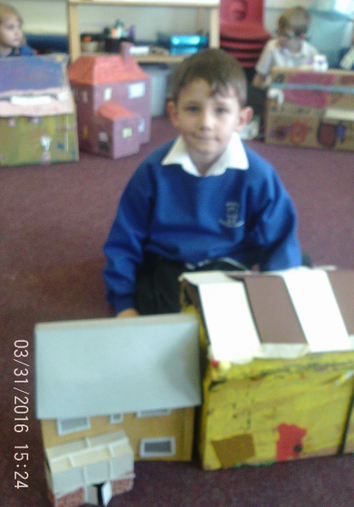 We each chose one building to design and make and then we put them altogether to create our village to share with our families on our topic celebration afternoon. 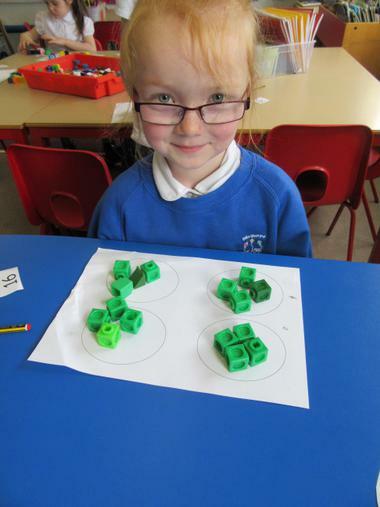 This week we have been solving multiplication problems in Maths. 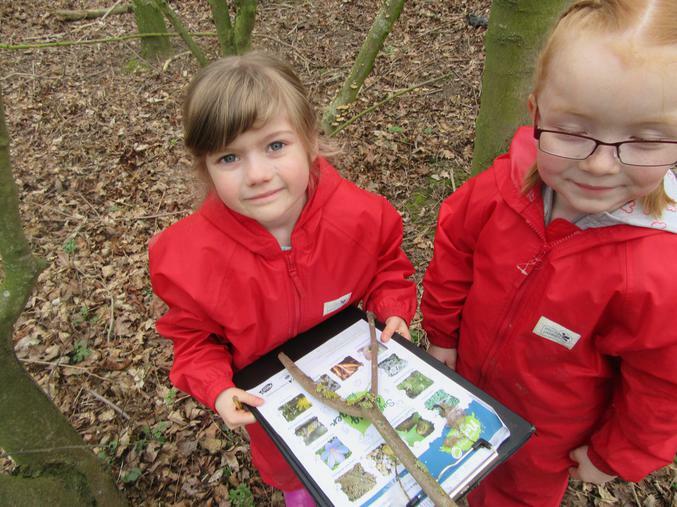 We have been searching for the signs of Spring on our forest walk. 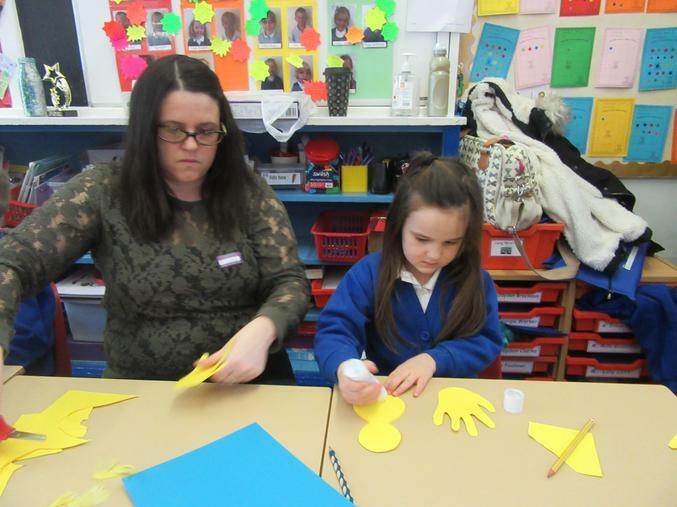 And we loved our Easter craft morning, thank you to all the families who came and helped. 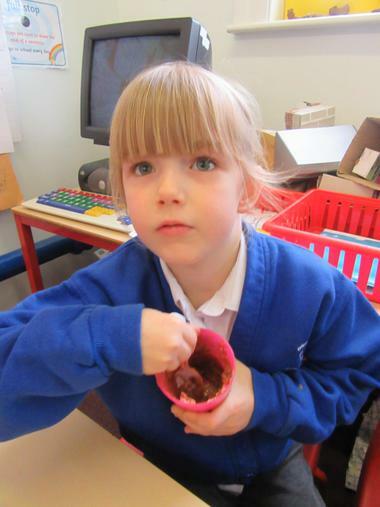 Inspired by another Roald Dahl classic, this week we became oompa loompas in our own chocolate factory to investigate how to make the best chocolate bar. 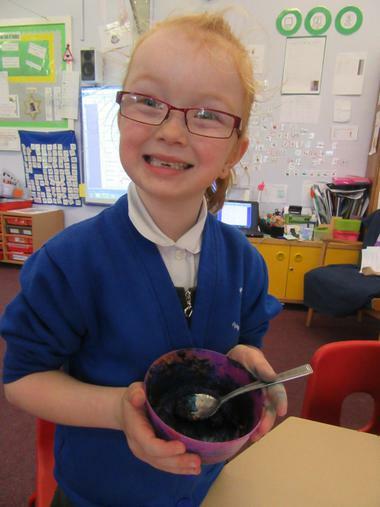 We investigated taste combinations and smells, experimented changing the colour of chocolate and used our results to design our own bar and packaging. 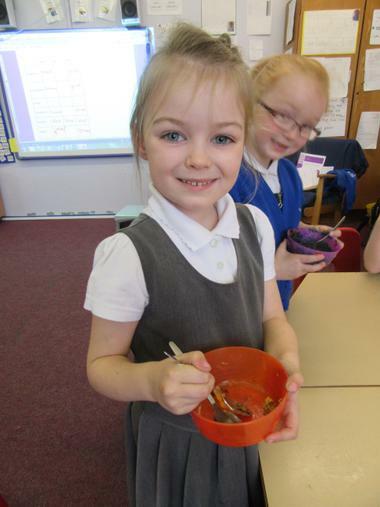 Finally we made our own chocolate bars. 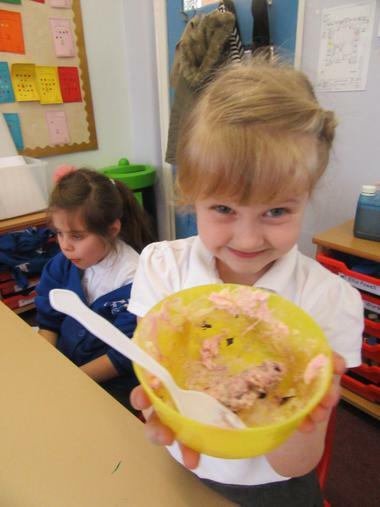 Mmmmmmmmm deliciousS! 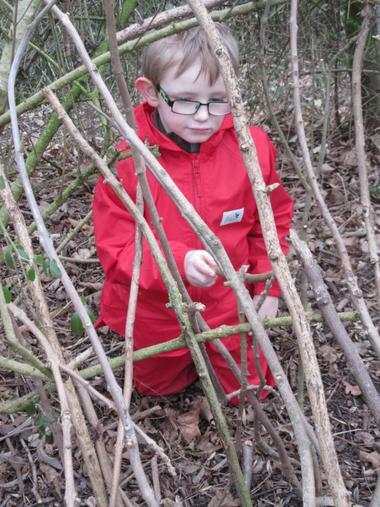 We made waterproof and wind proof animal shelters on our forest walk today. 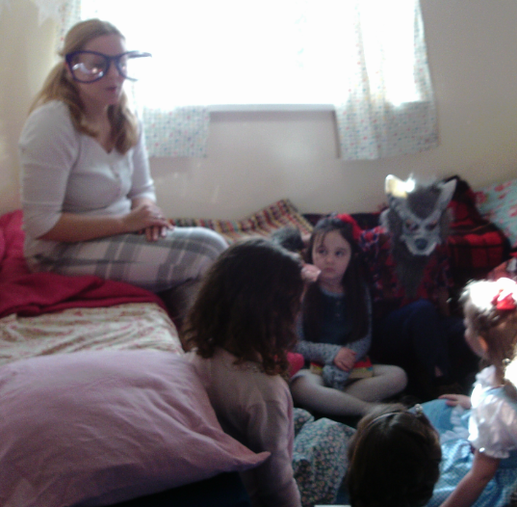 We celebrated WORLD BOOK DAY by experiencing lots of Roald Dahl stories. 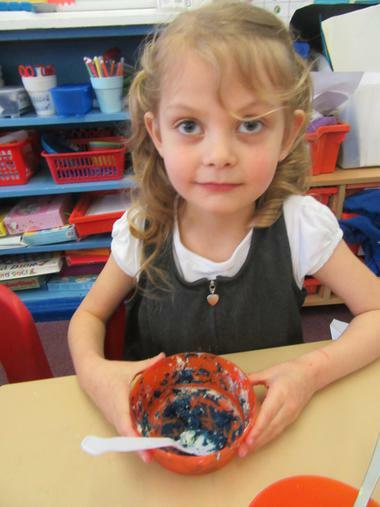 We are reading The BFG and have spent this week making up nonsense words and describing and writing our favourite dreams, making jars for them and drawing them. 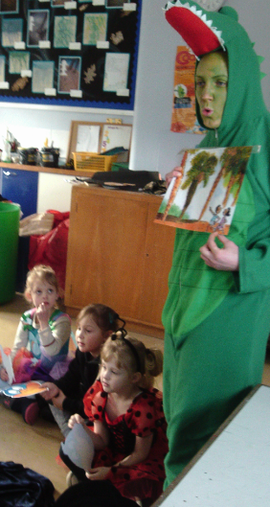 On our special Roald Dahl day we met Matilda in her bedroom and the Enormous Crocodile down by a lake! 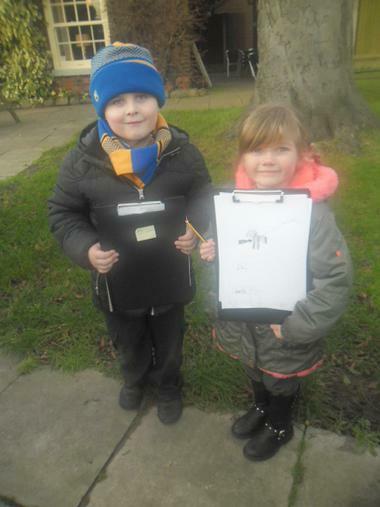 The children visited other local villages to compare our village with a smaller and larger one. 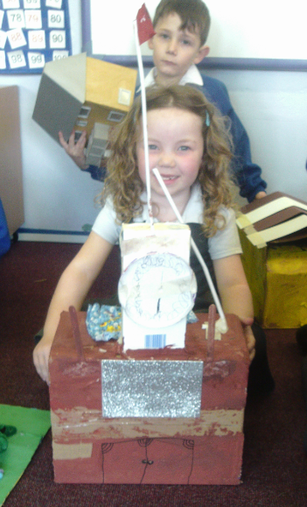 They then discussed back at school how we could make the perfect village! 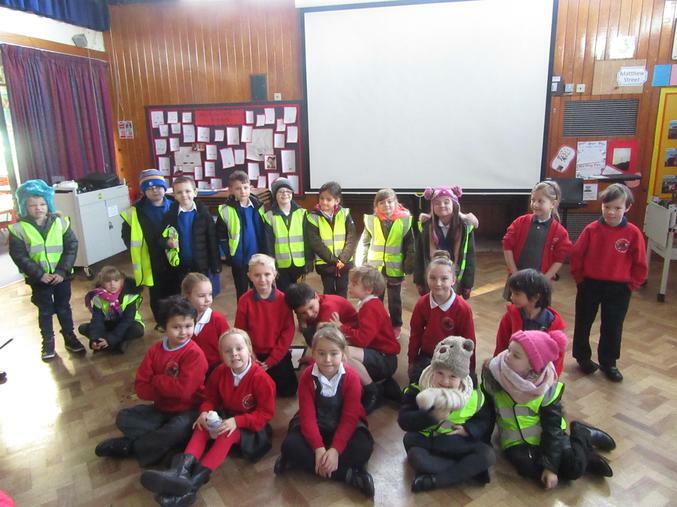 Today was E-Safety day and we spent the morning exploring how we can stay safe online. 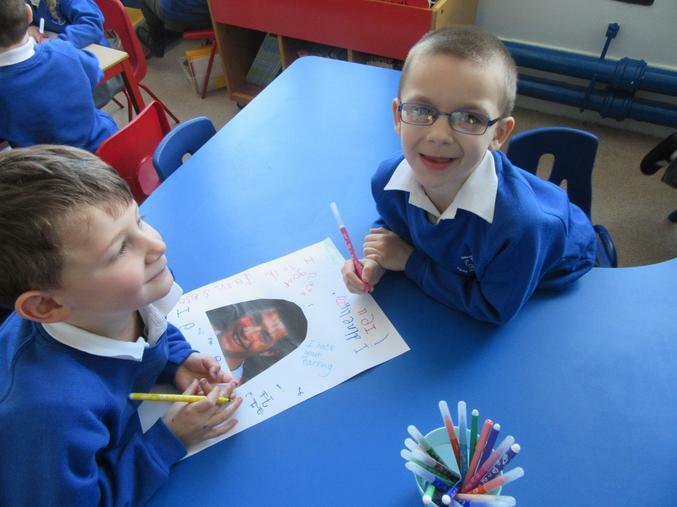 We talked all about being kind to others online and what we should do if something worries or upsets us. 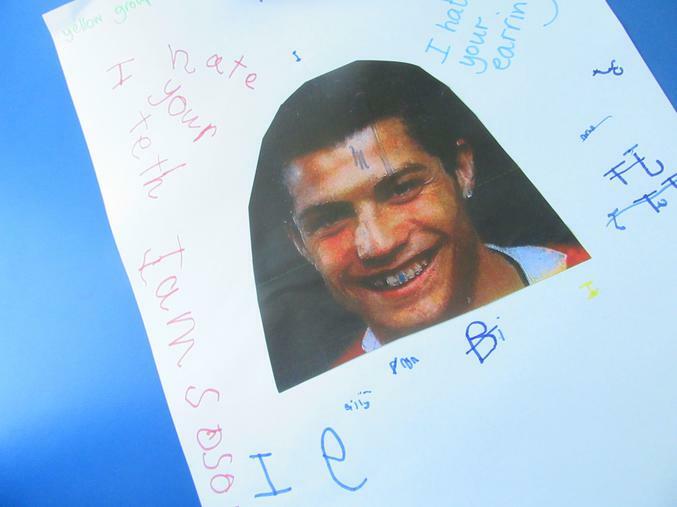 The children posted written messages onto photos as they would if they were online and we discussed how the comments would make us feel. 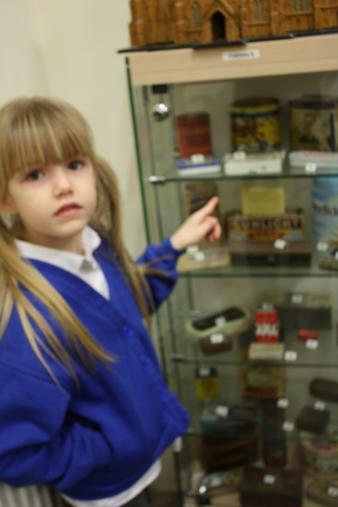 We visited the Bilsthorpe Heritage Museum today and learnt lots about the history of our village by looking at old photos, maps and artefacts. 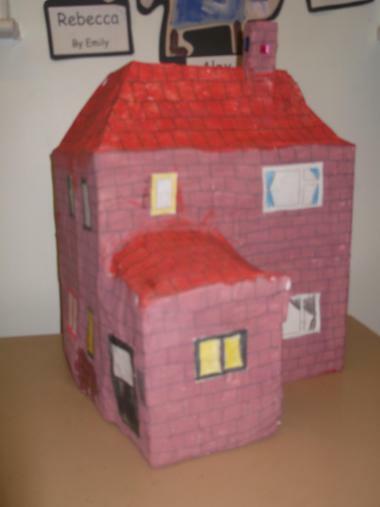 Imogen and Lewis made large models of their houses for their homework this week. 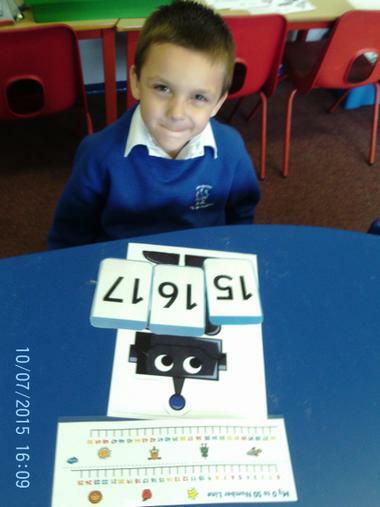 We used them to learn about measuring vocabulary and the children sorted them in size order. 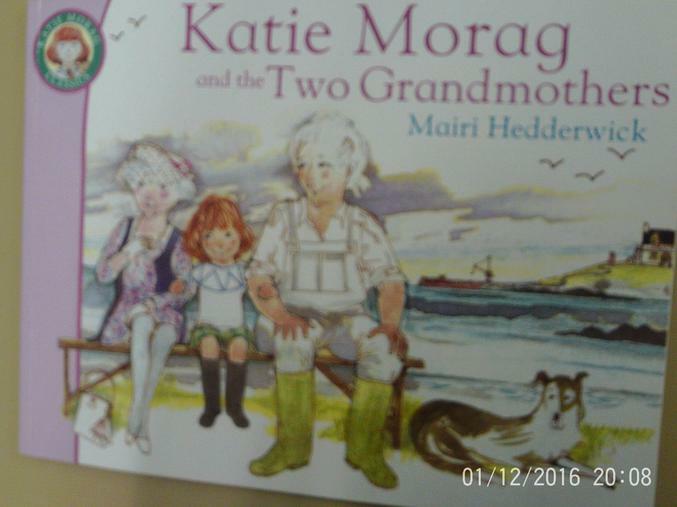 We have started to look at a new story book in English, 'Katie Morag and the Two Grandmothers'. 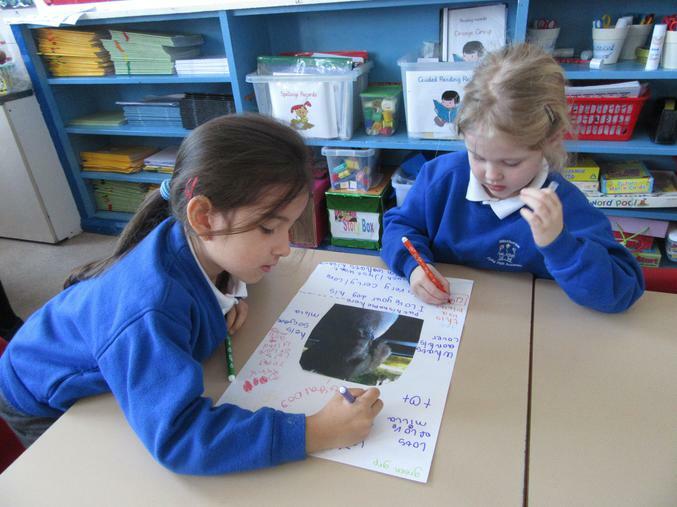 We have been discussing the book from only using the front cover and writing book reviews. 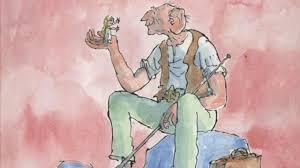 Next week we are going to discuss the characters and setting and then learn it ready to change it into our own story. 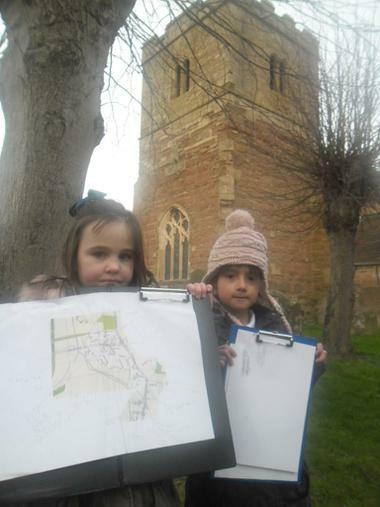 This week we went and explored Bilsthorpe village, both the new and old parts of the village. 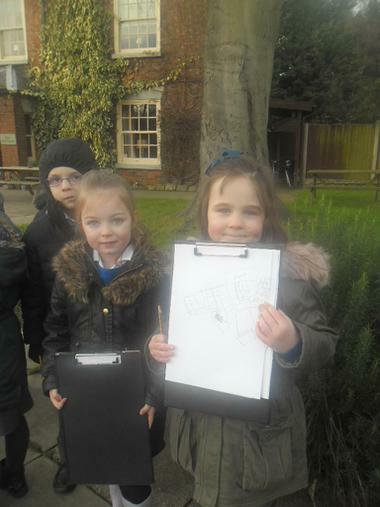 We marked the villages' amenities on a map and described and drew the buildings. 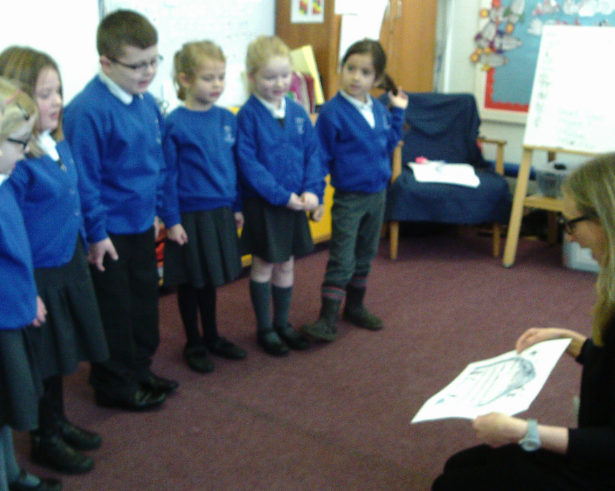 The children have been reading and performing winter poetry today. 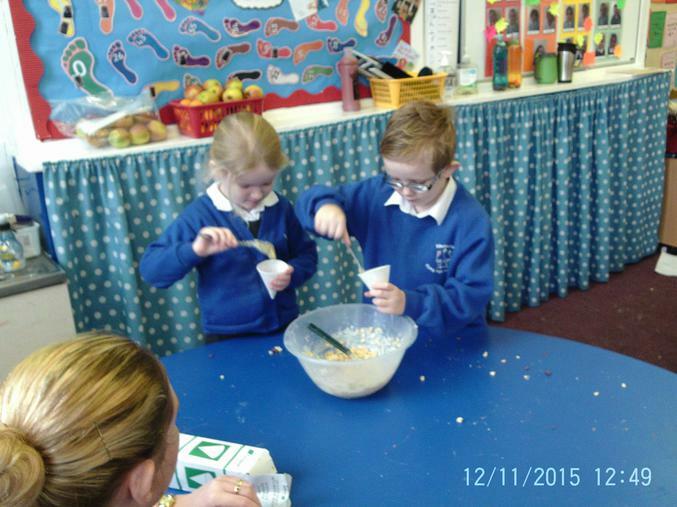 They practised speaking with clear loud voices and following a rhythm to stay together. 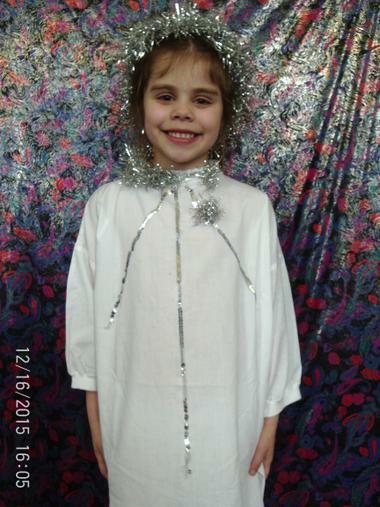 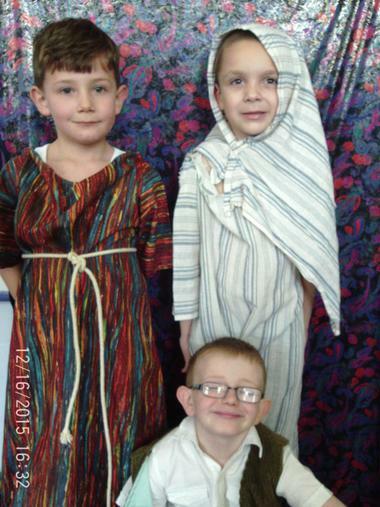 The children performed superbly today - well done! 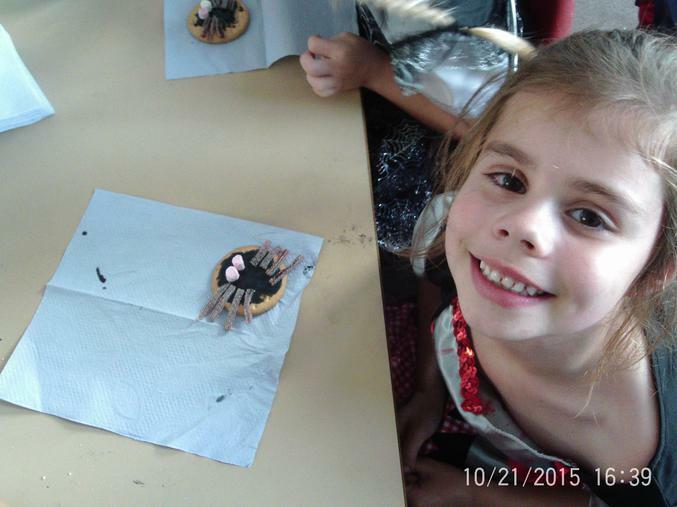 The children made chocolate trees and tree decorations to sell at the fayre. 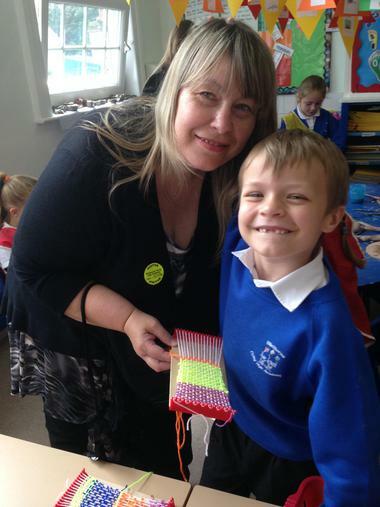 To celebrate the end of our 'World Records' topic we invited parents in to see what we've been learning. 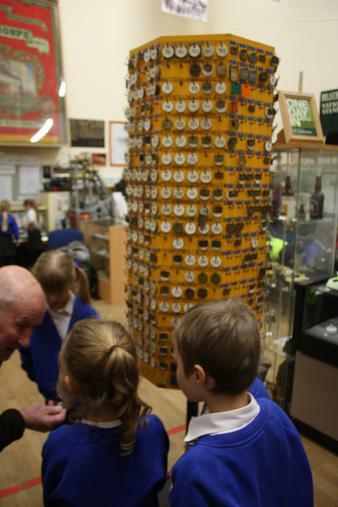 We got them fact finding and trying to beat world records. 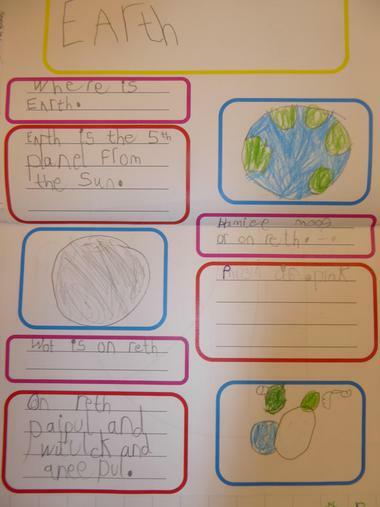 This week, after their trip to the Space Centre, the children found out lots about space including earth and other planets. 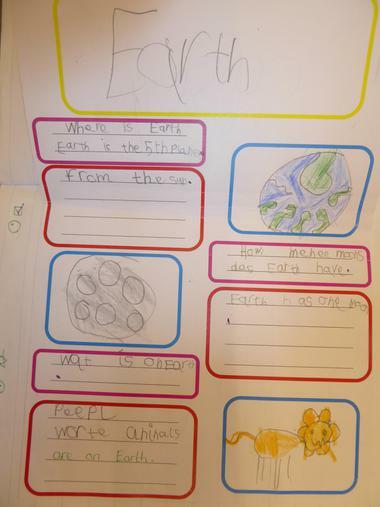 They then made information leaflets using the facts they learnt. 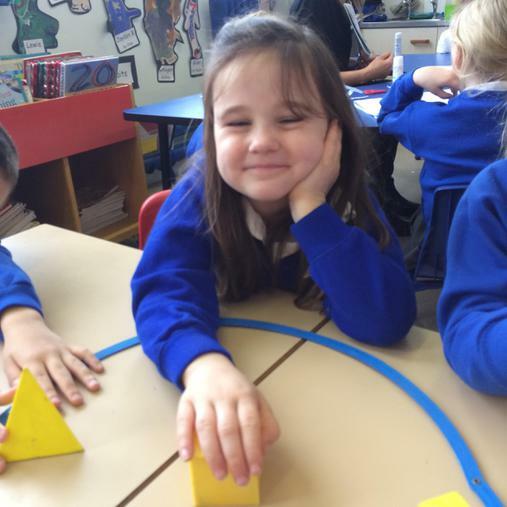 This week in Maths we are learning all about 3d shapes and sorting them by their different properties. 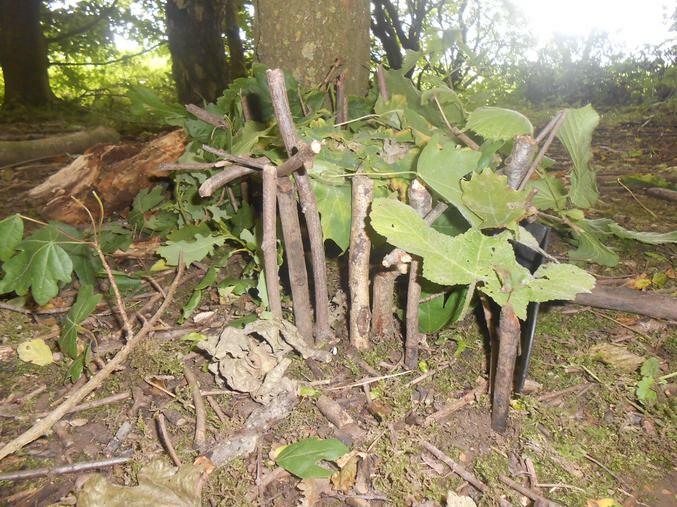 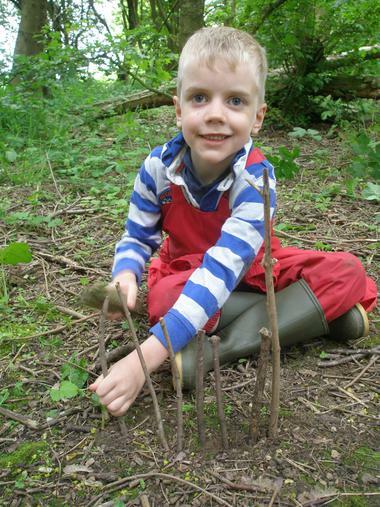 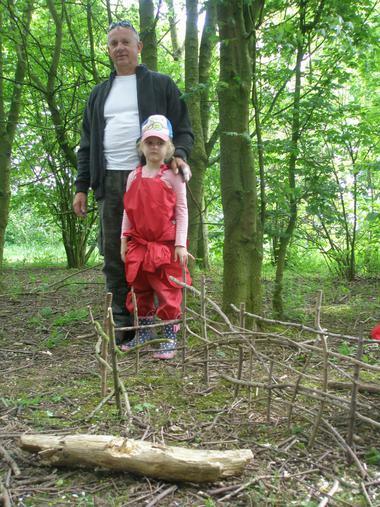 On our forest walk this week we had a go at creating homes for woodland animals preparing for winter. 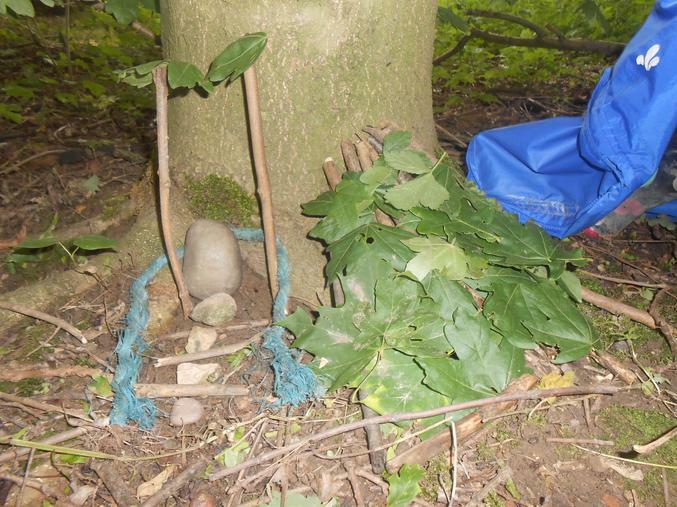 The children chose the best place for their animal and the materials that would be best to keep them safe and warm. 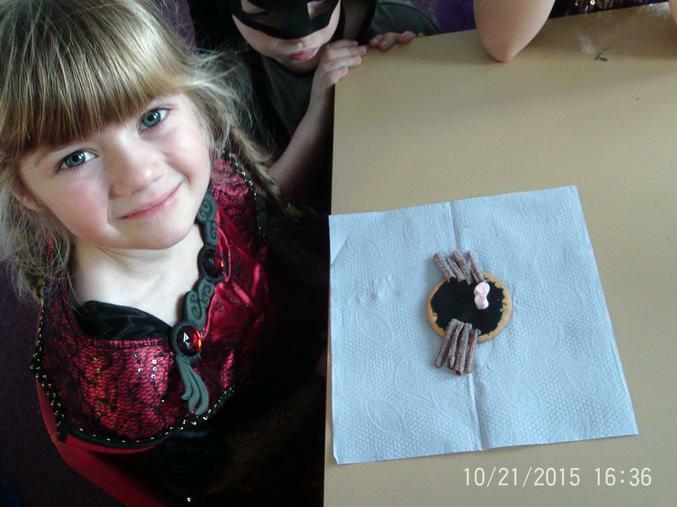 We made spider biscuits....and ate them! 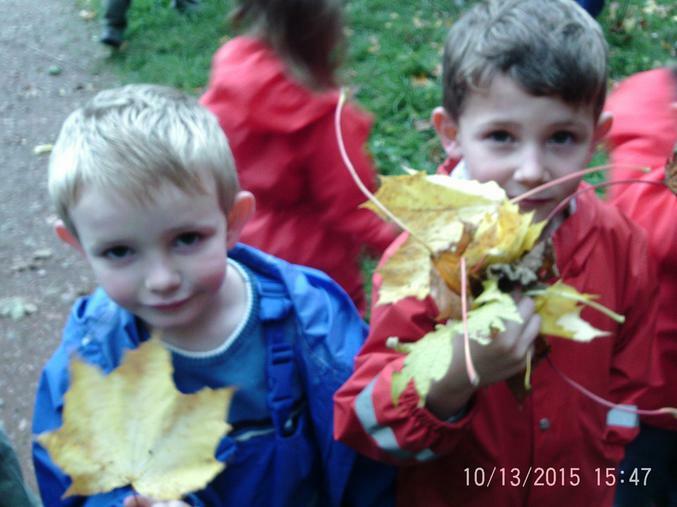 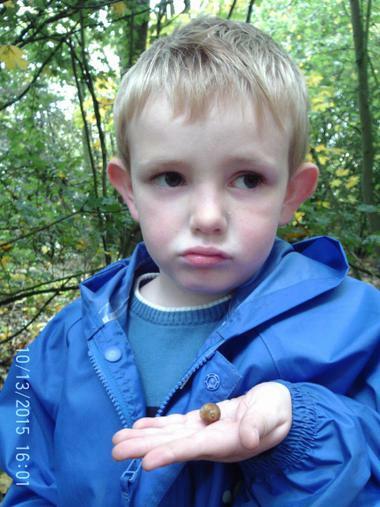 This week on our forest walk we were learning all about autumn and looked out for signs of autumn. 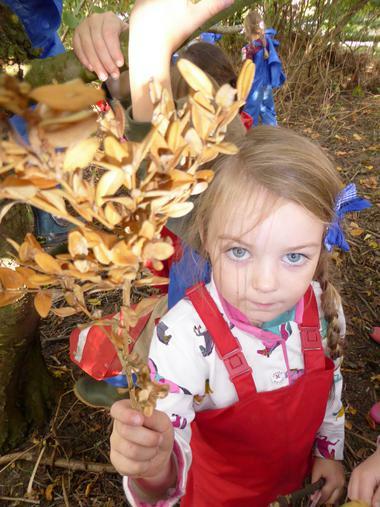 Most children could tell me that the yellow leaves they found that had fallen were like that because in autumn there wasn't enough sun to keep them growing. 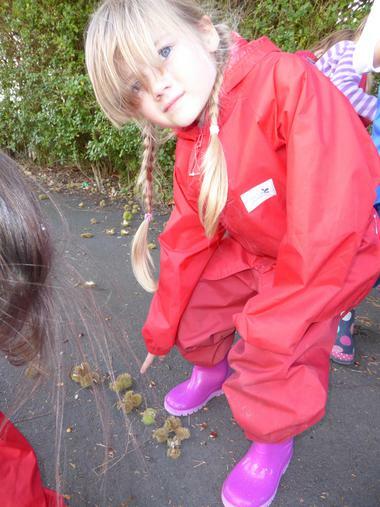 Many also found berries and nuts and knew that squirrels, hedgehogs and birds would be using them for food now the weather was colder. 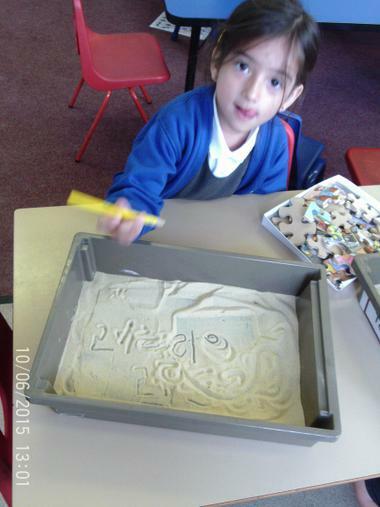 In maths this week we have been practising writing numbers correctly. 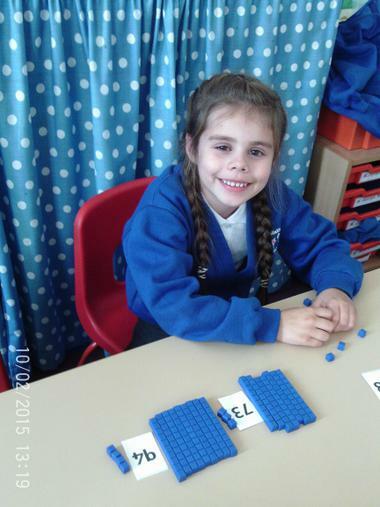 We have been making 2-digit numbers using dienes. 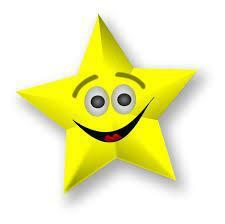 We have also been working out 1 more and 1 less. 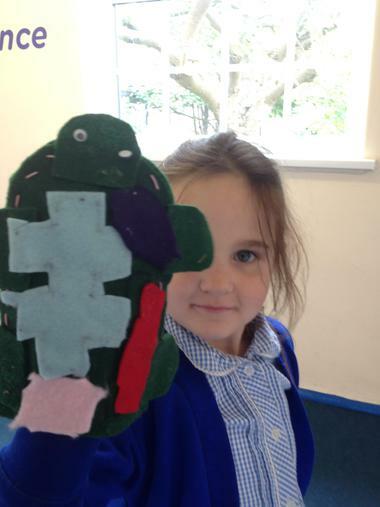 In English some children have made puppets to re-tell their stories. 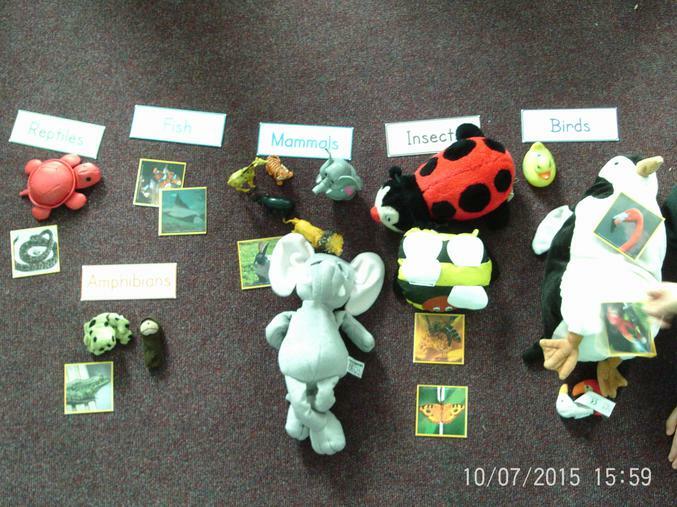 In topic time the children have learned about groups of animals and their features and then sorted them. 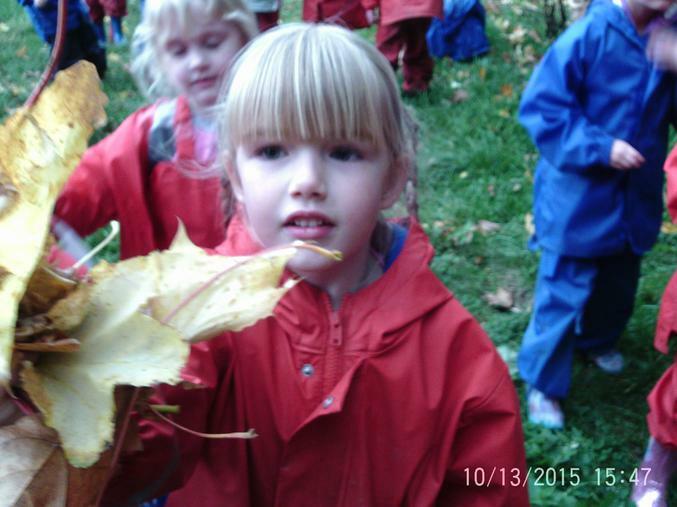 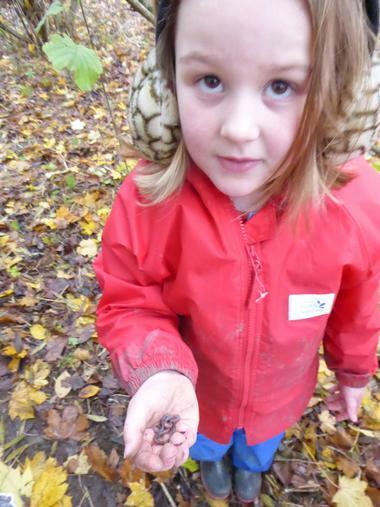 On our forest walk this week we were identifying trees, plants, flowers and insects. 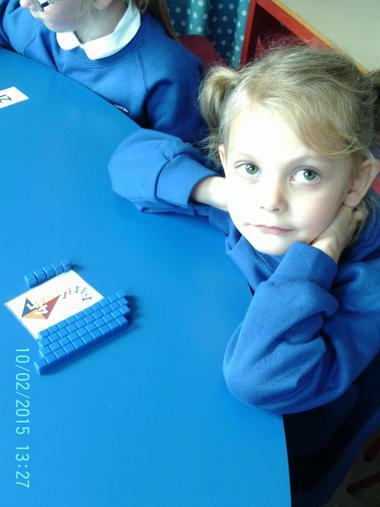 22.9.15 Fun in maths this week - we have been ordering numbers to 20 and using numicon to make 2 digit numbers.